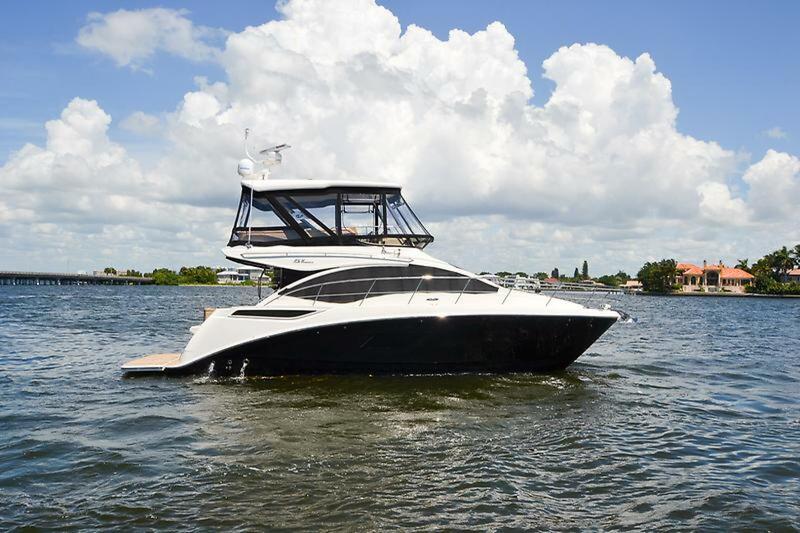 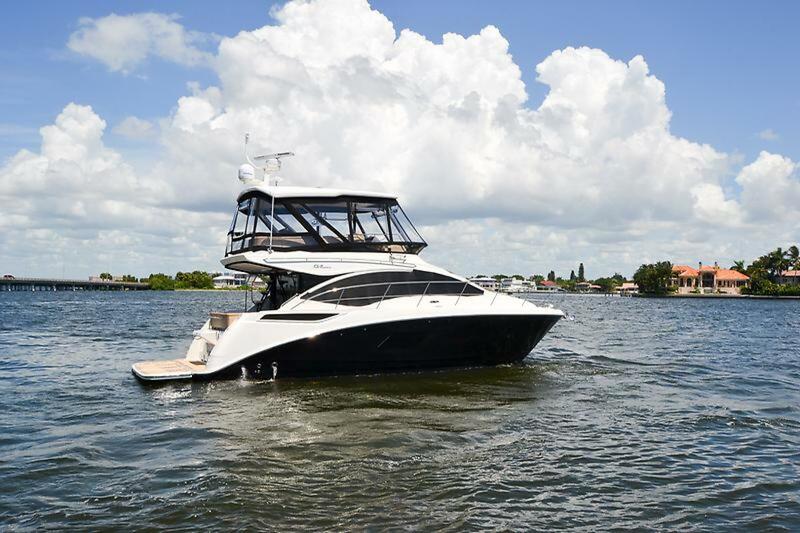 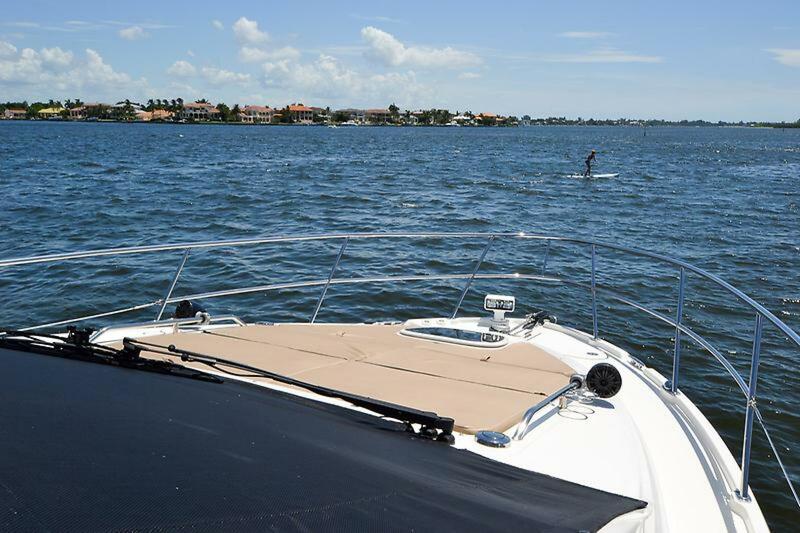 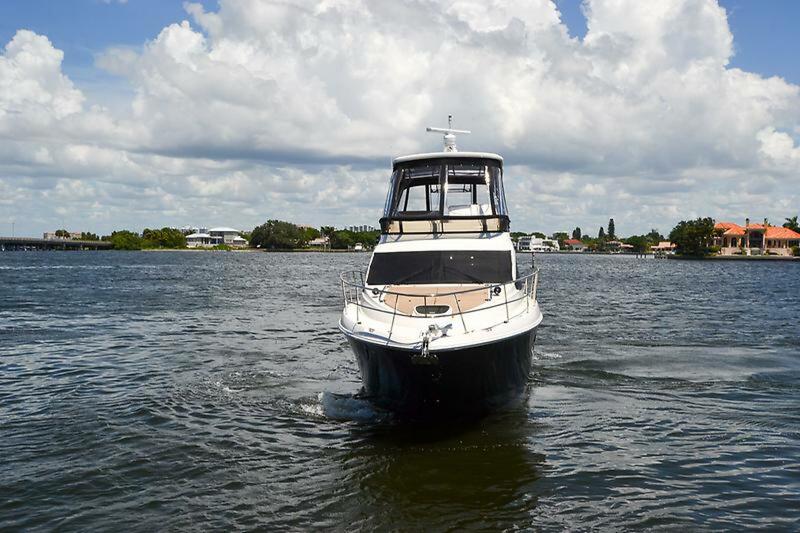 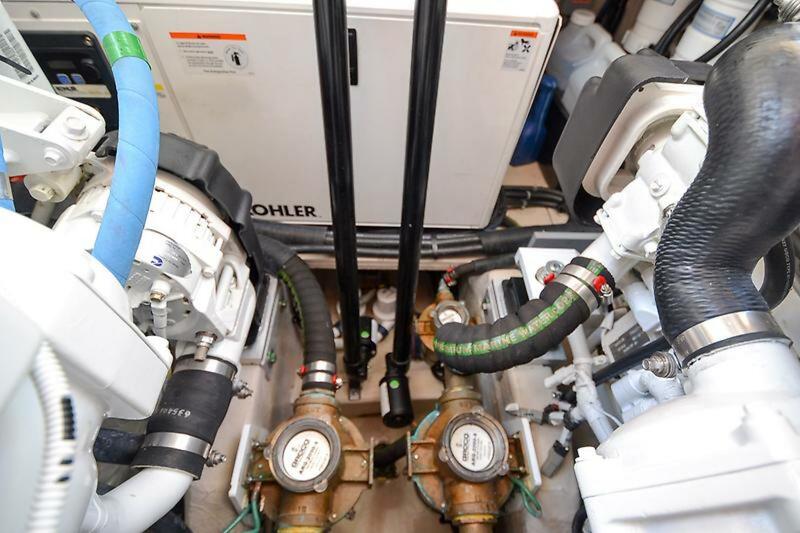 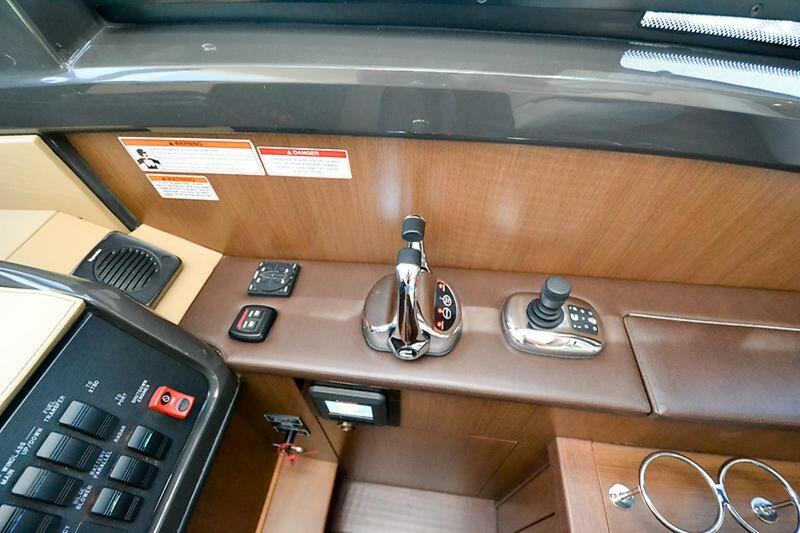 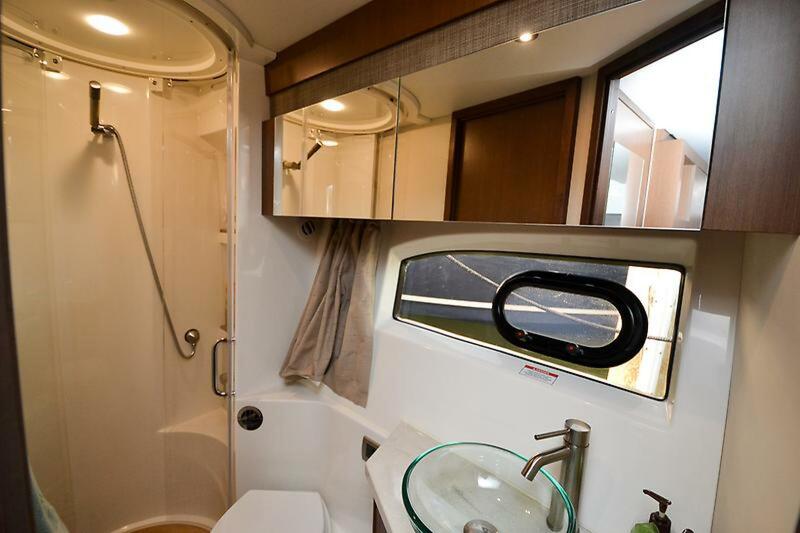 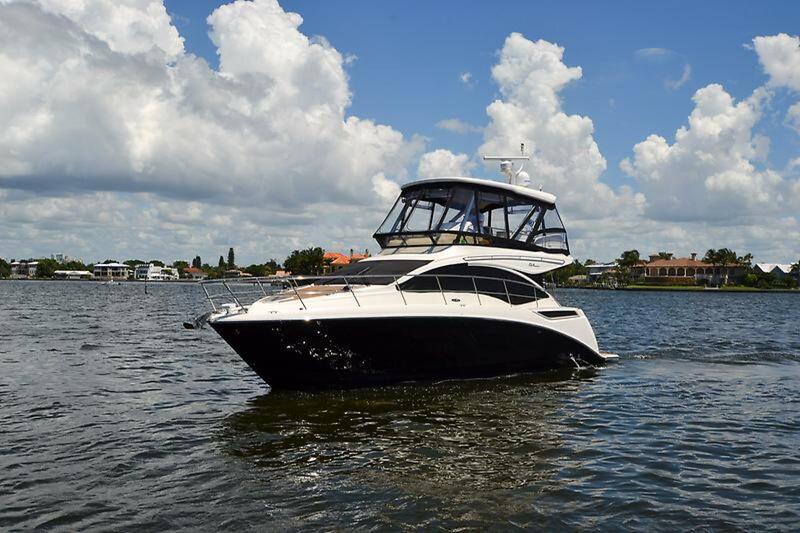 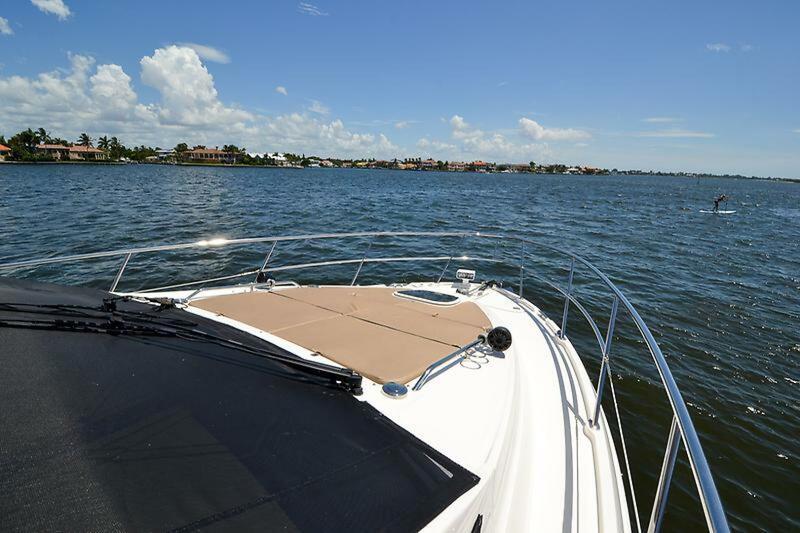 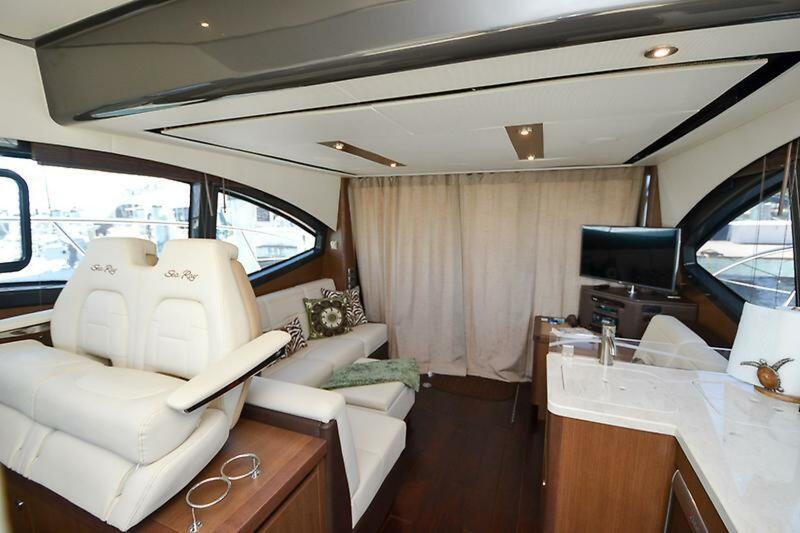 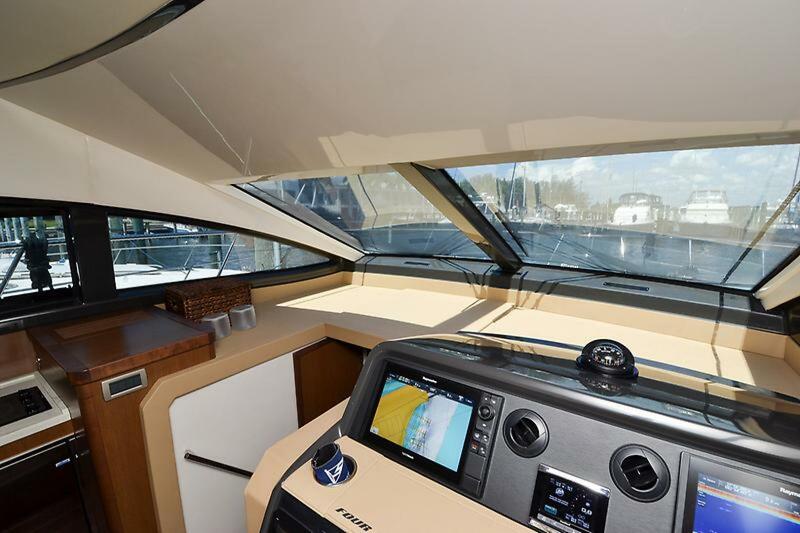 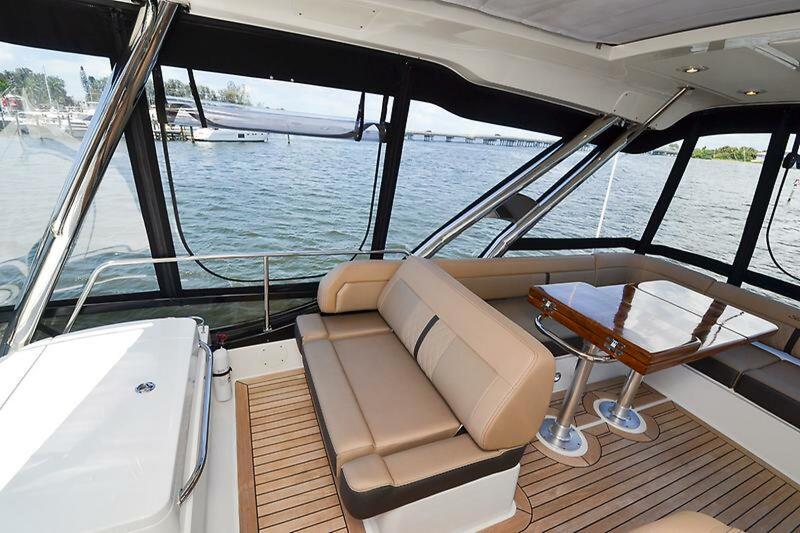 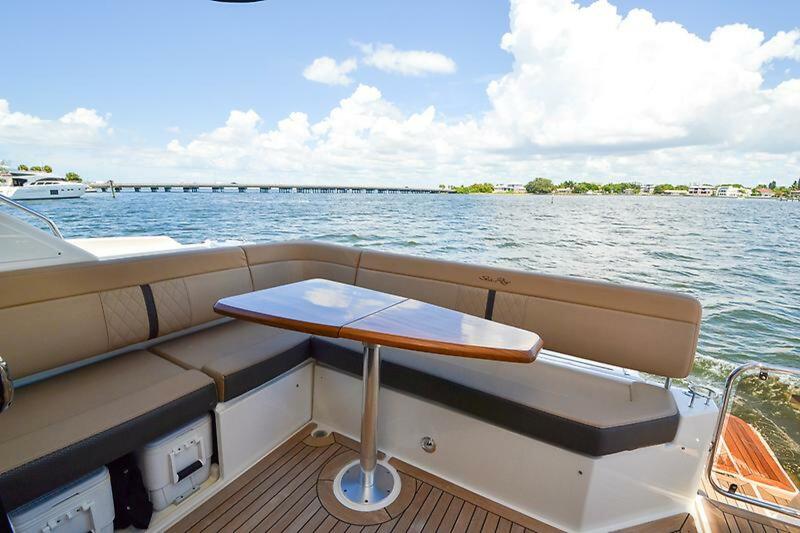 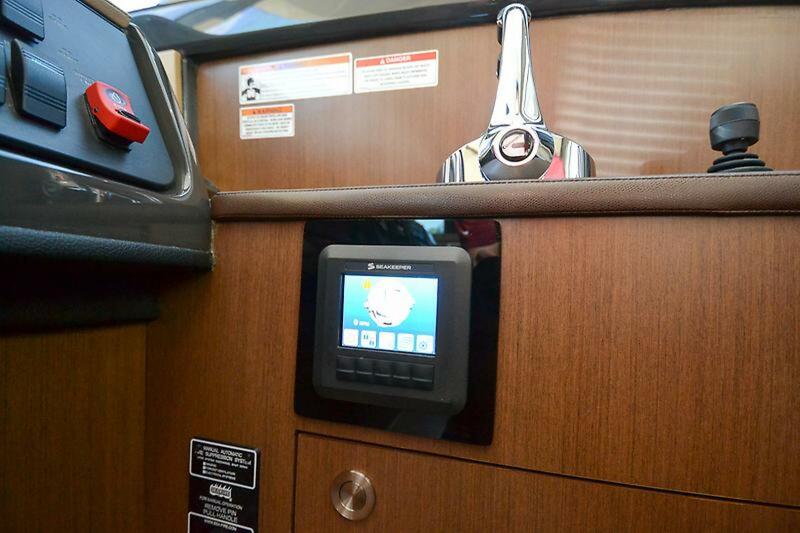 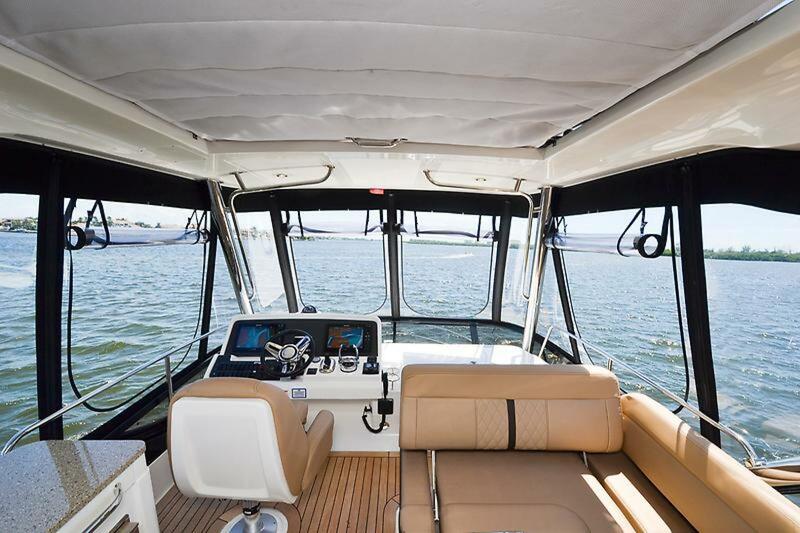 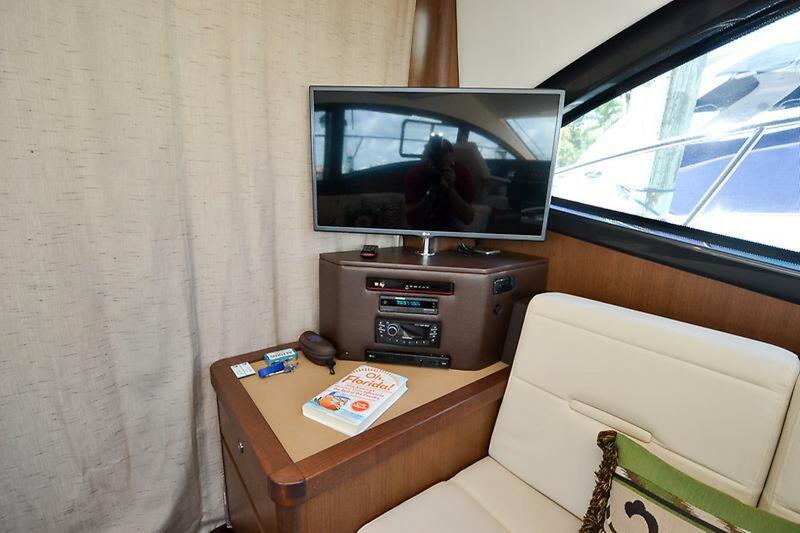 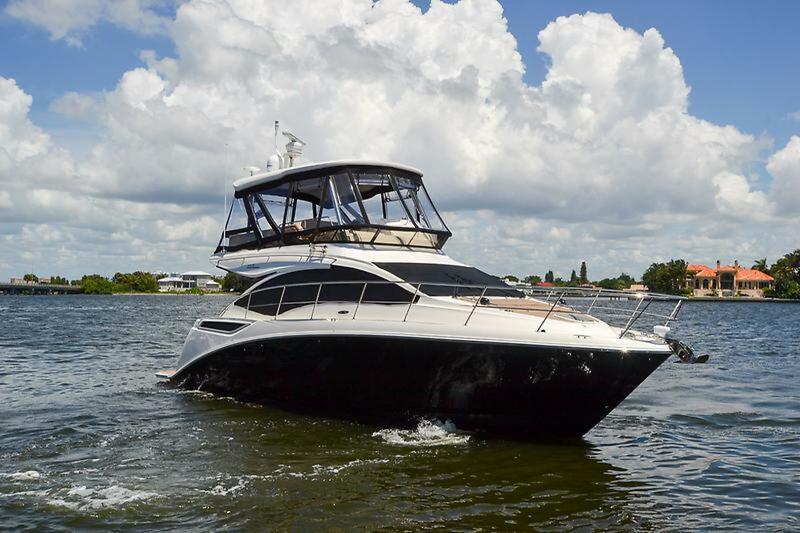 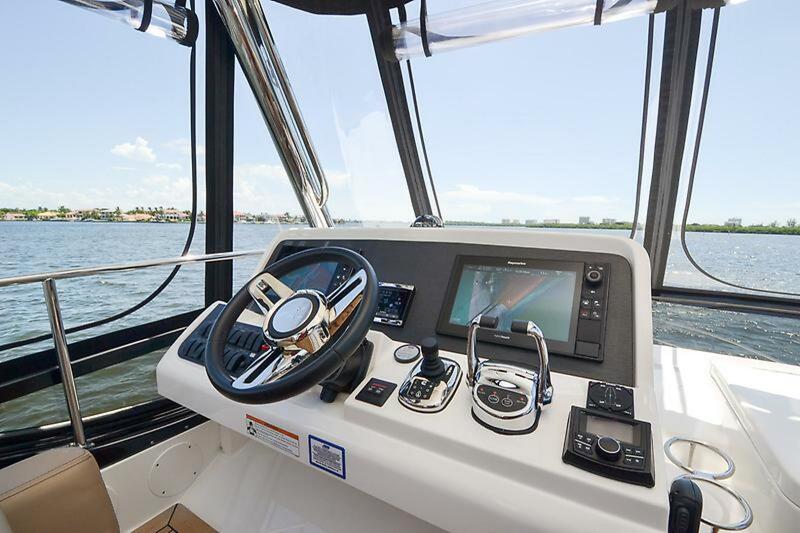 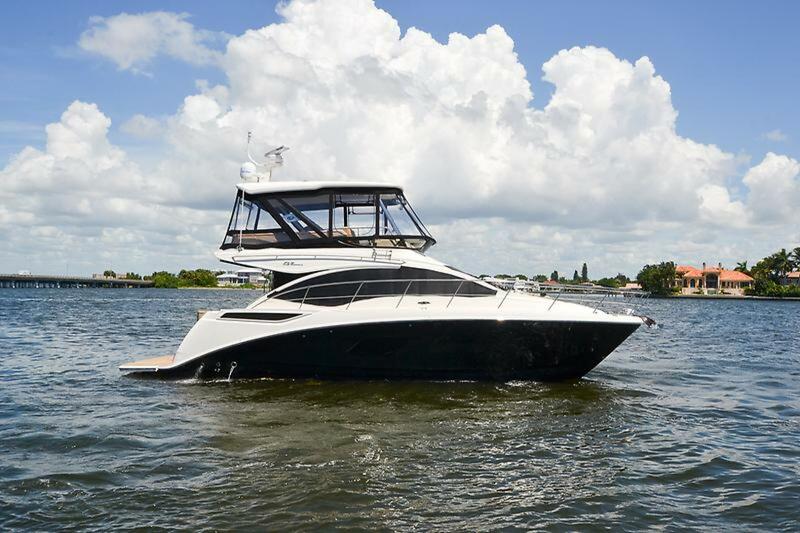 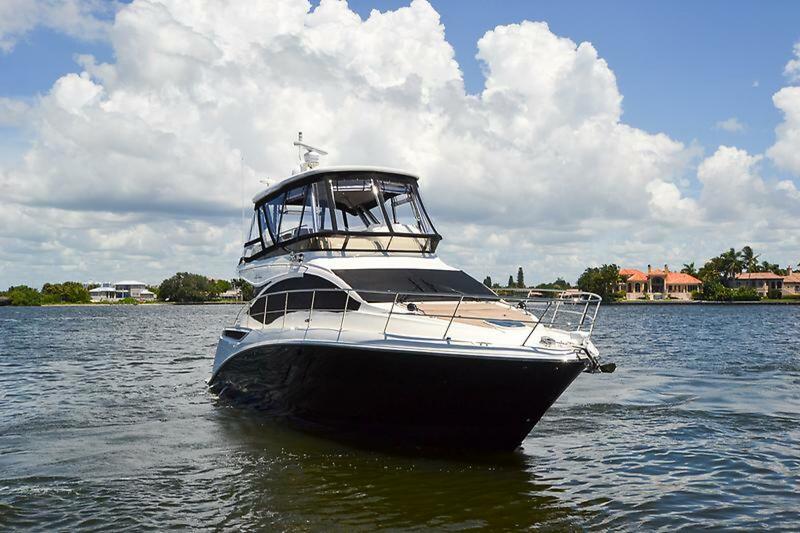 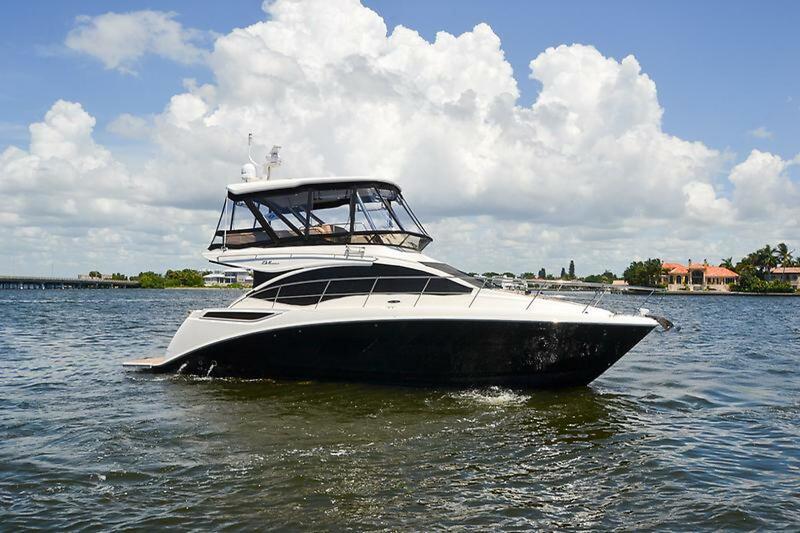 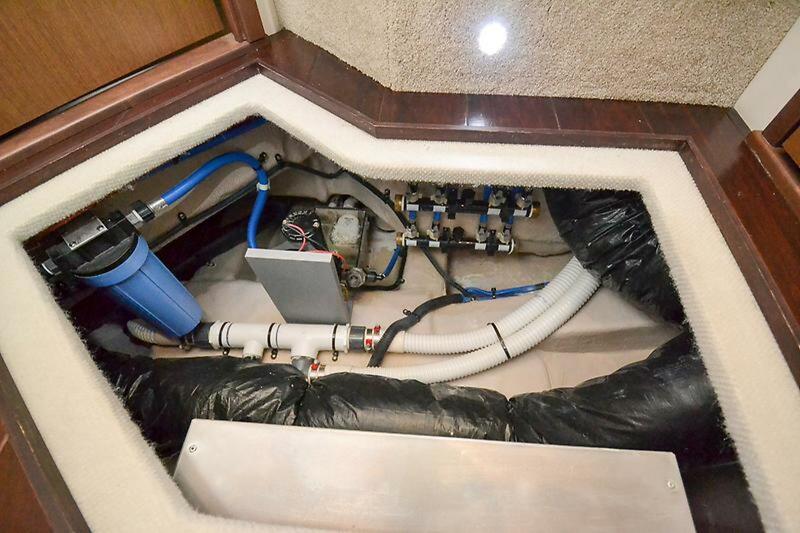 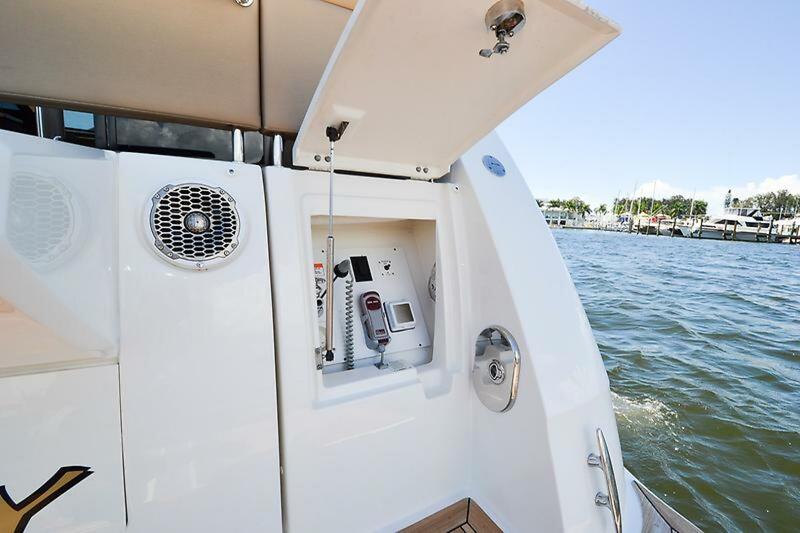 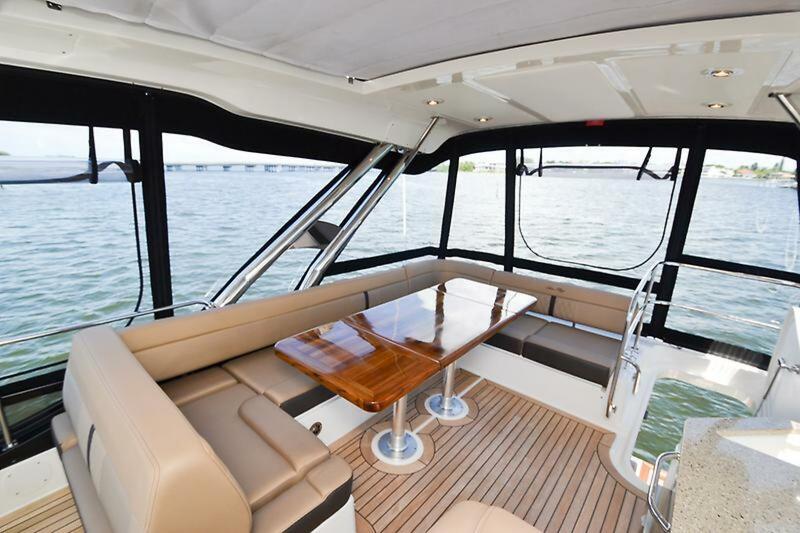 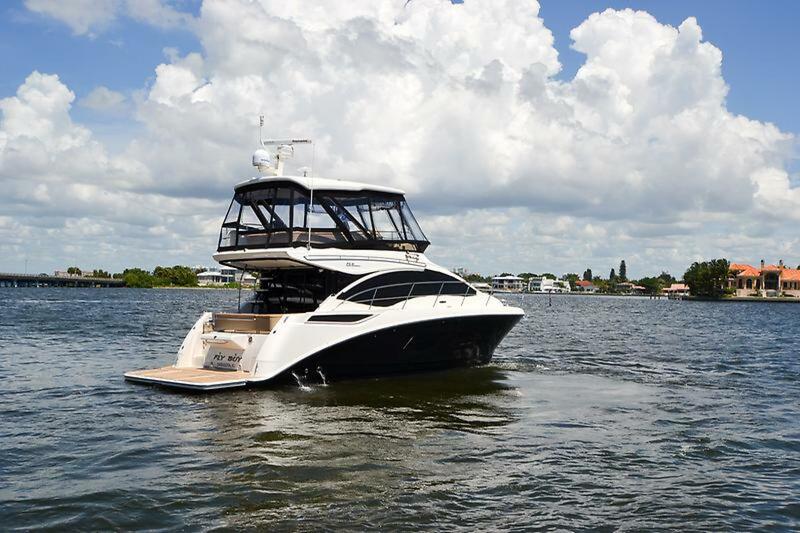 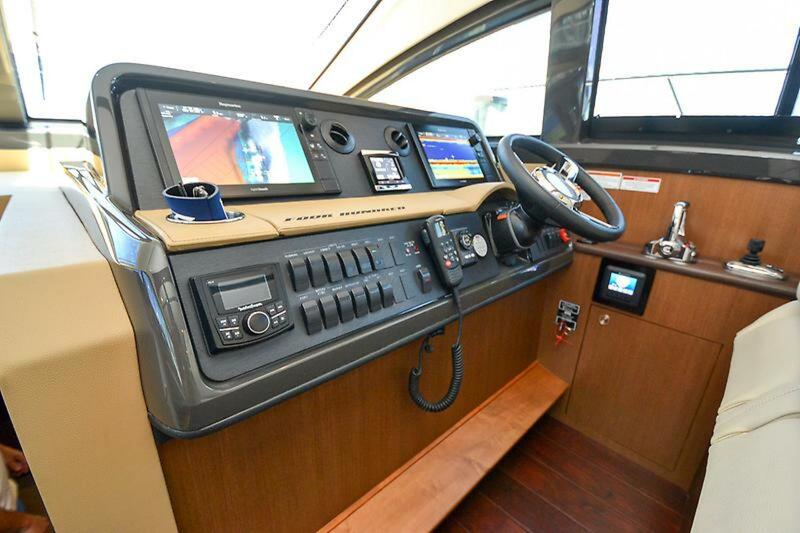 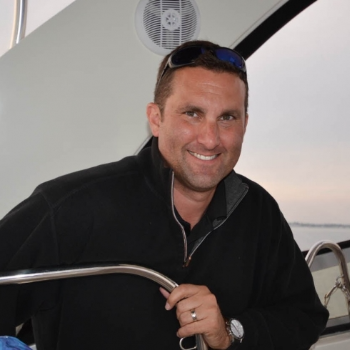 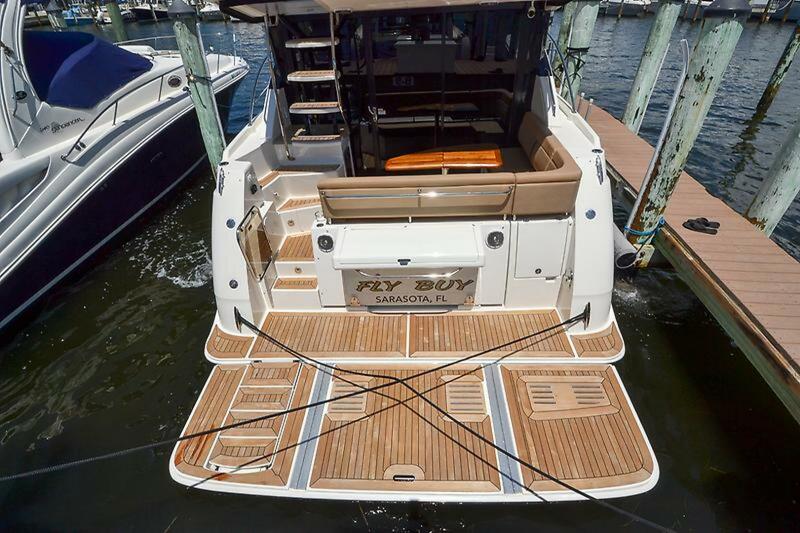 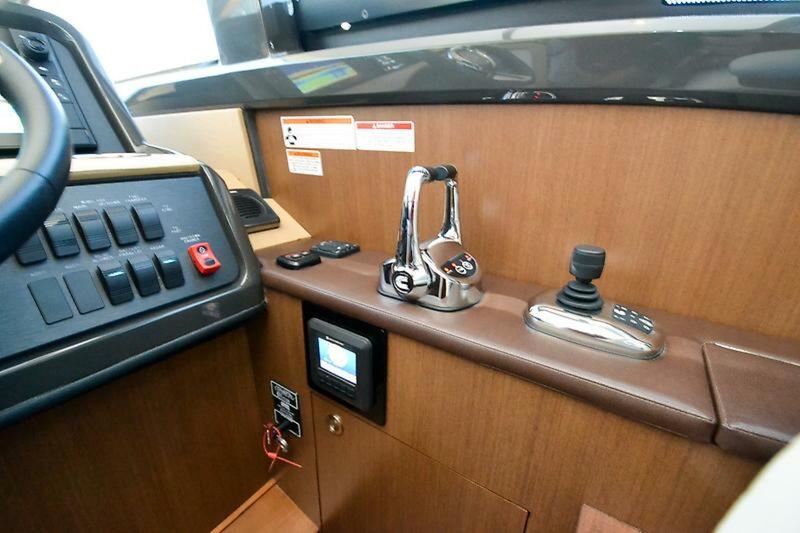 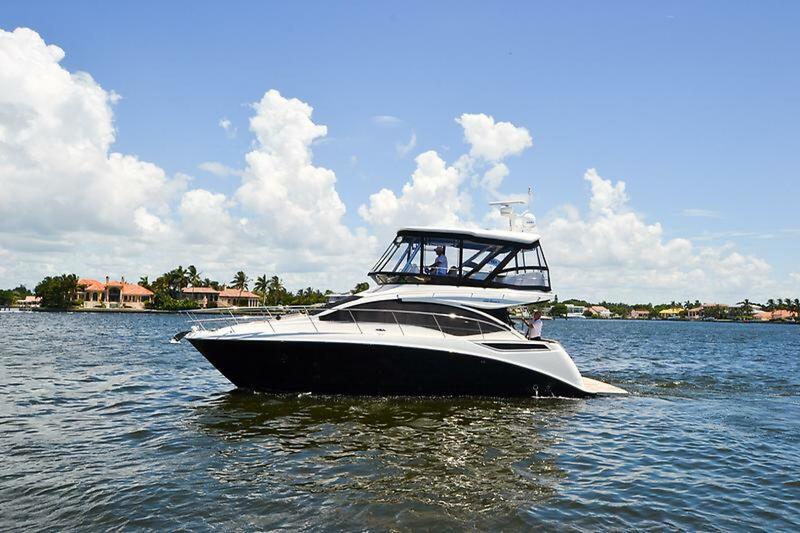 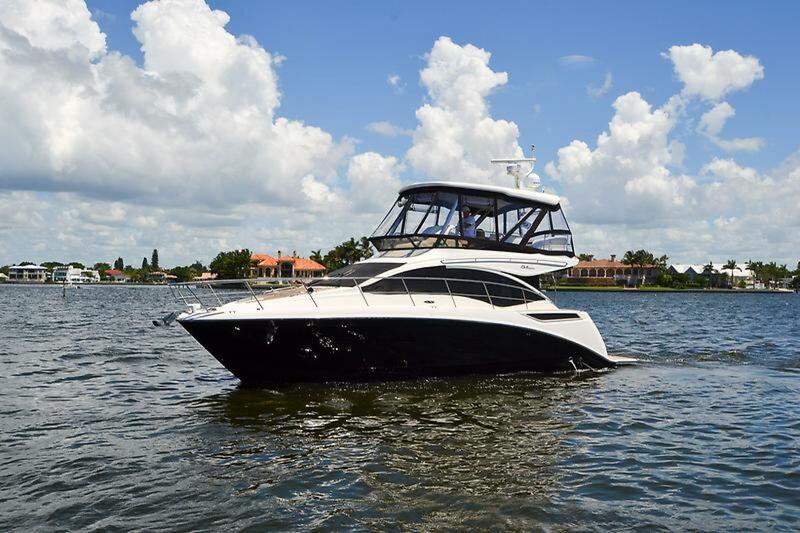 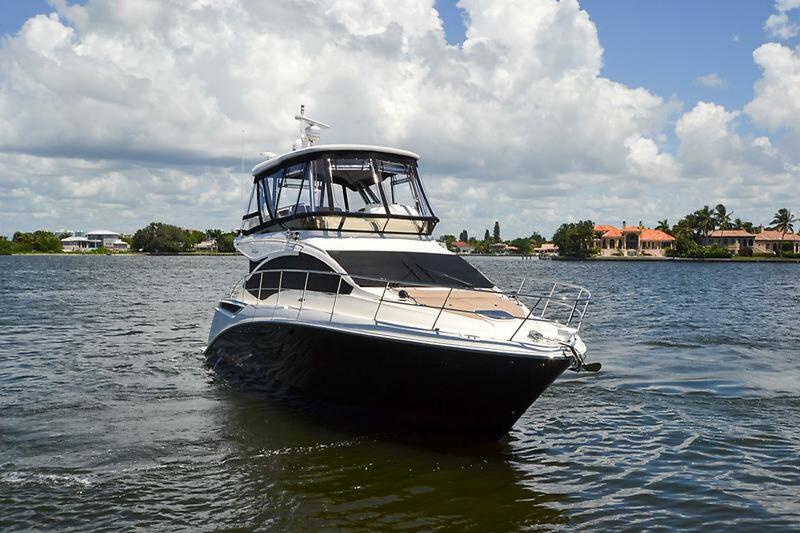 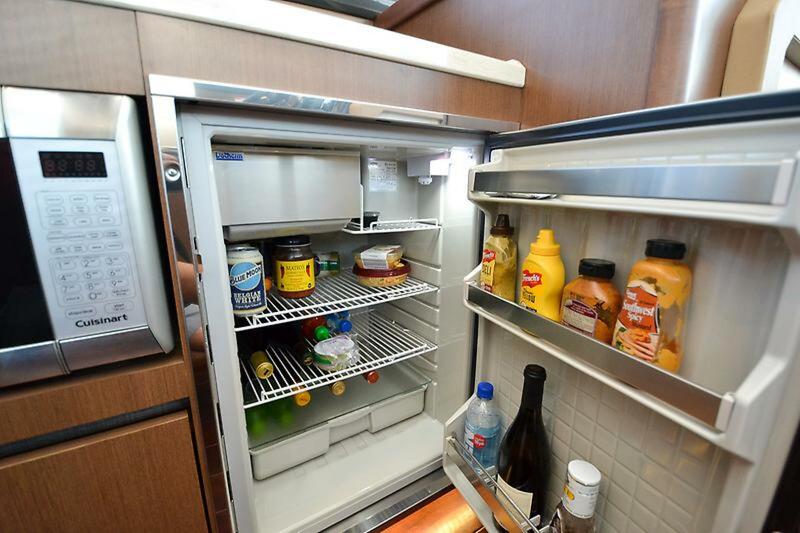 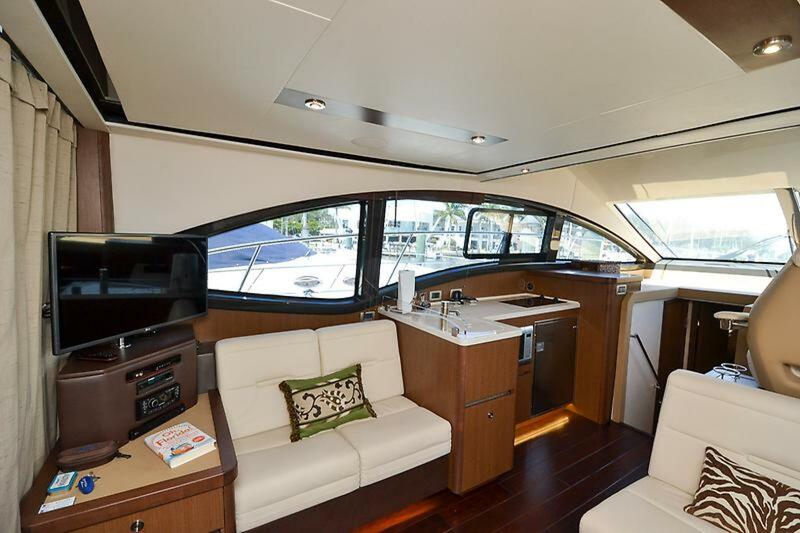 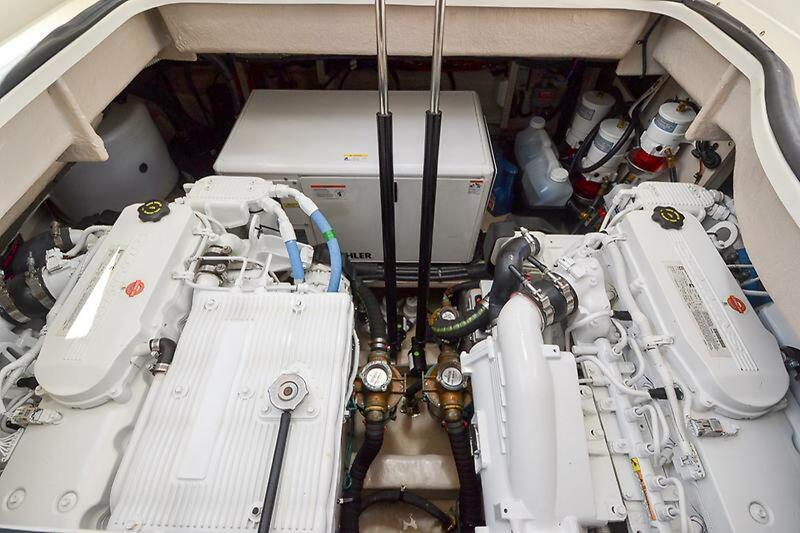 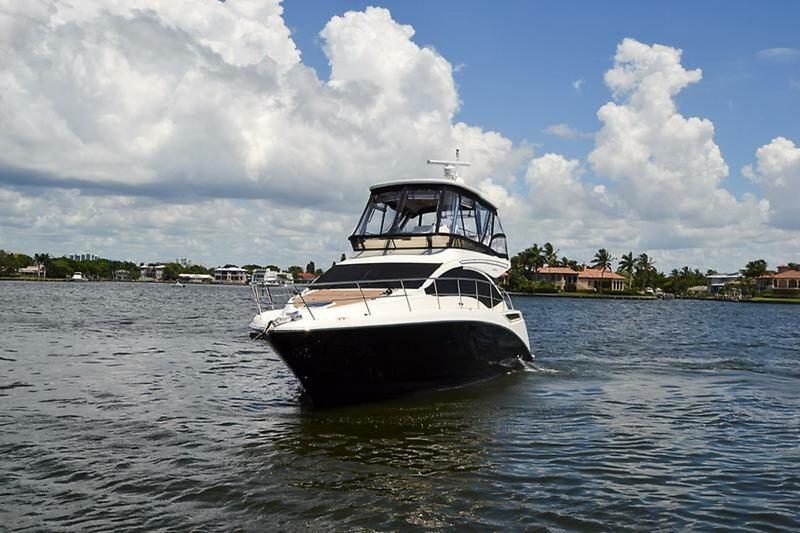 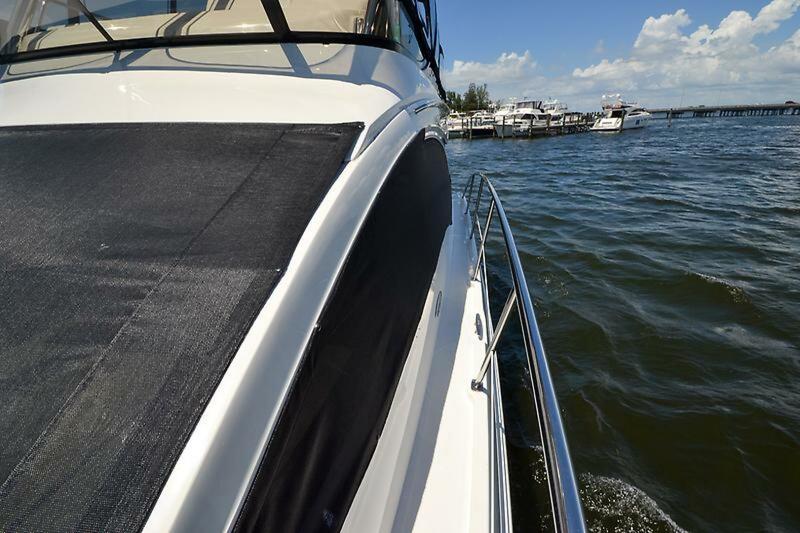 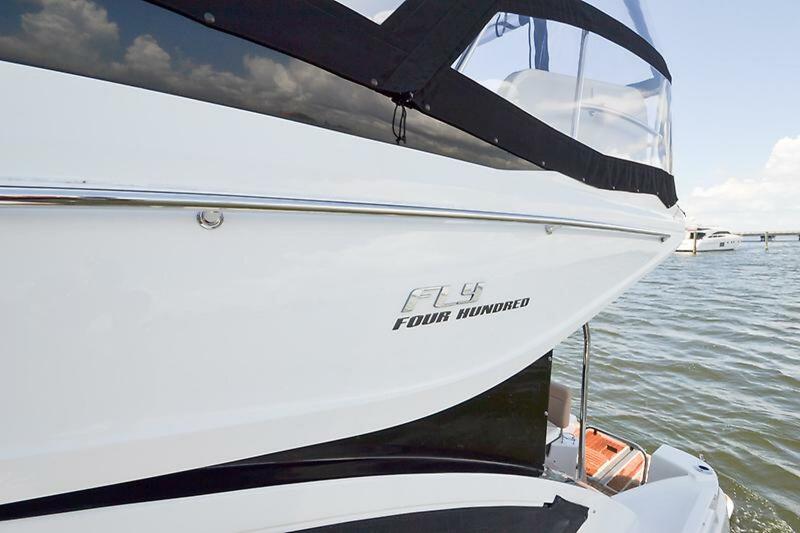 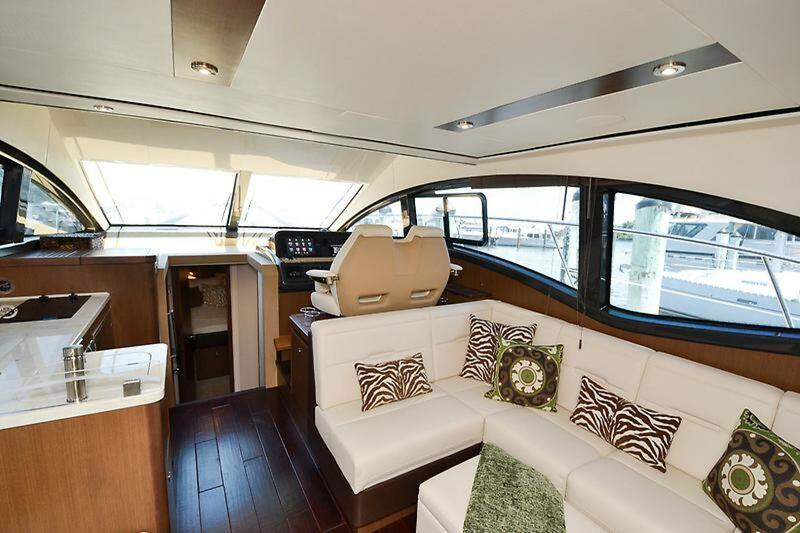 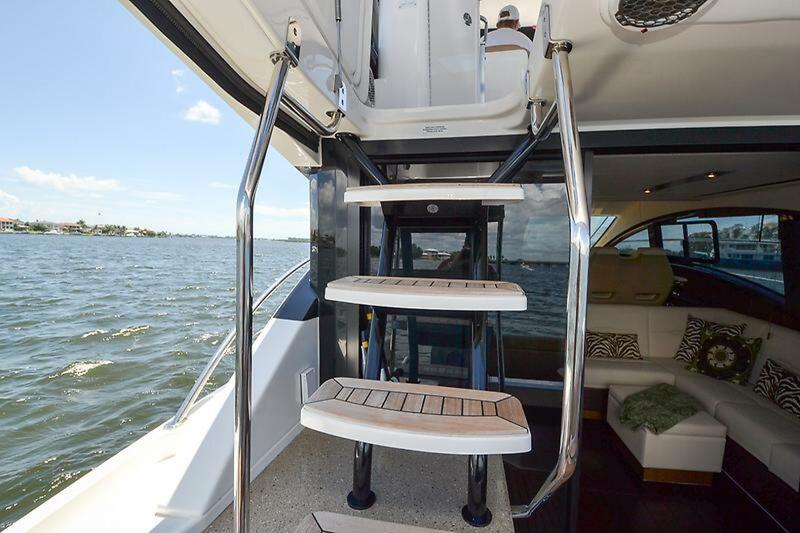 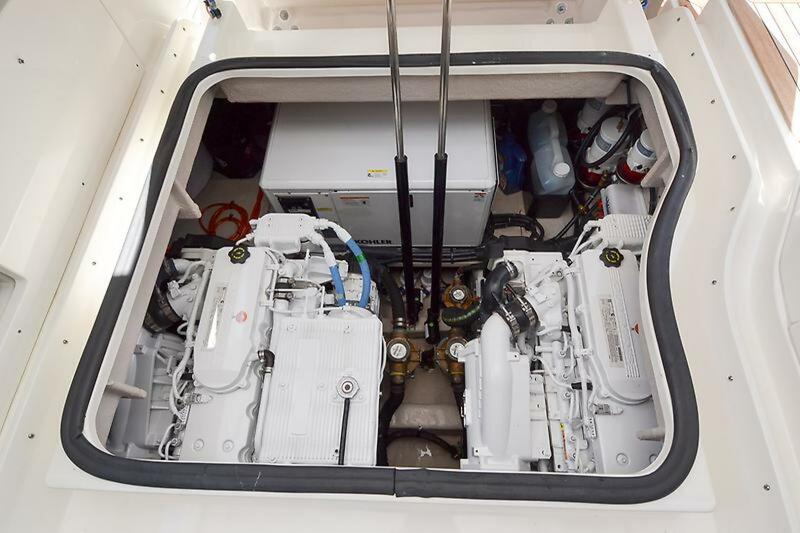 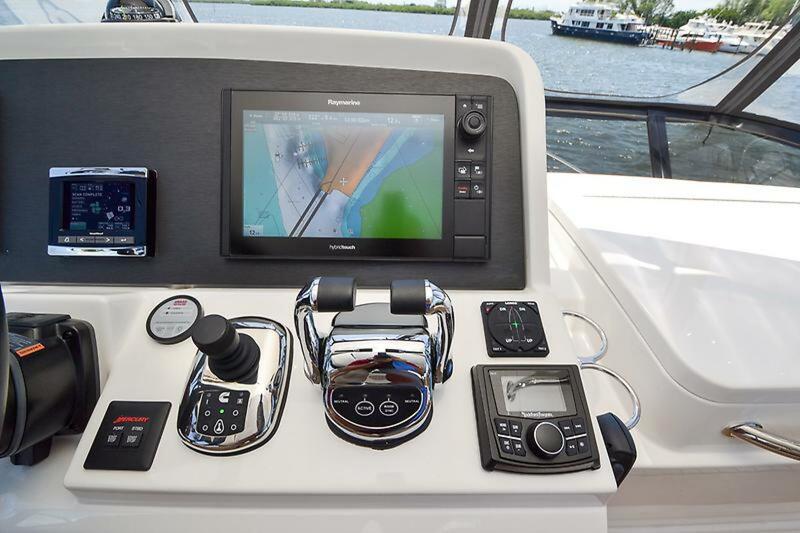 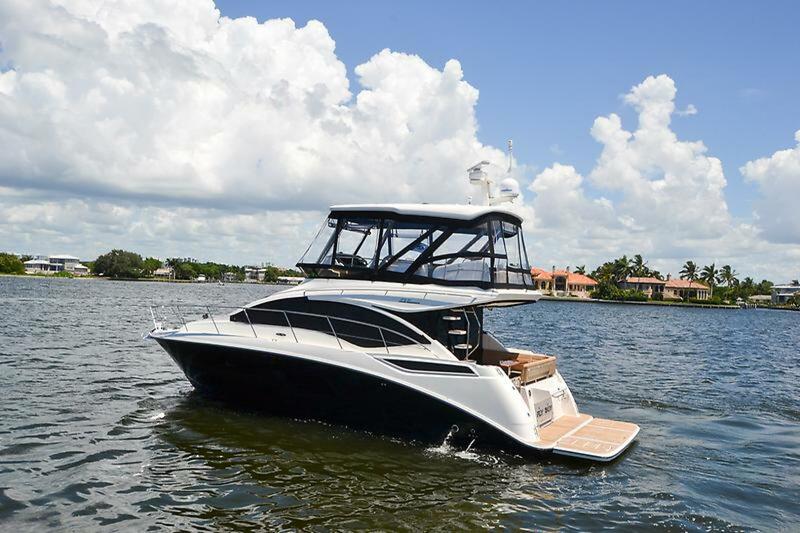 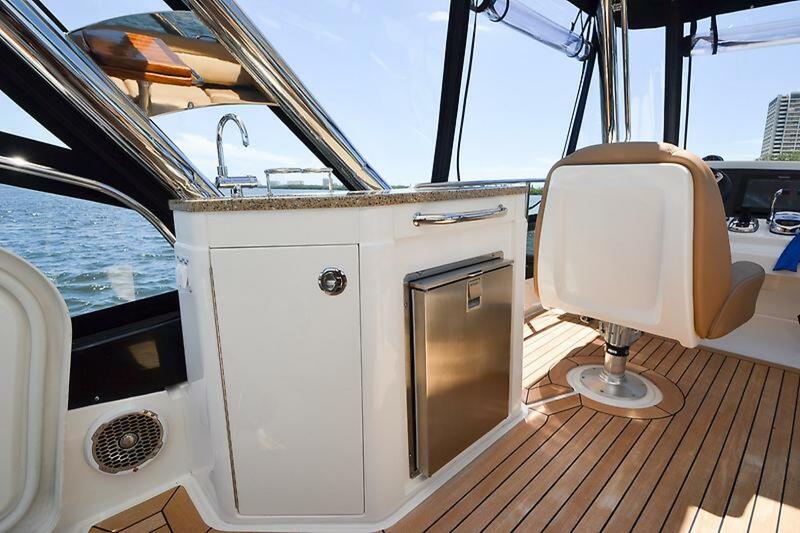 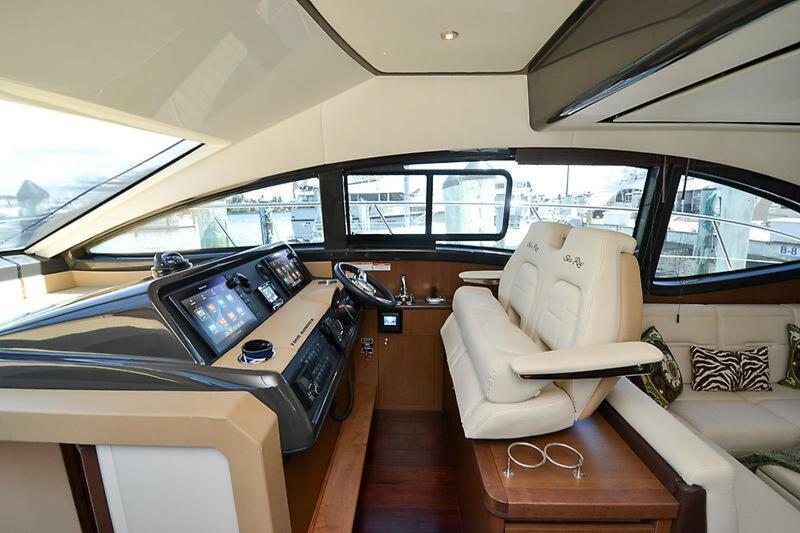 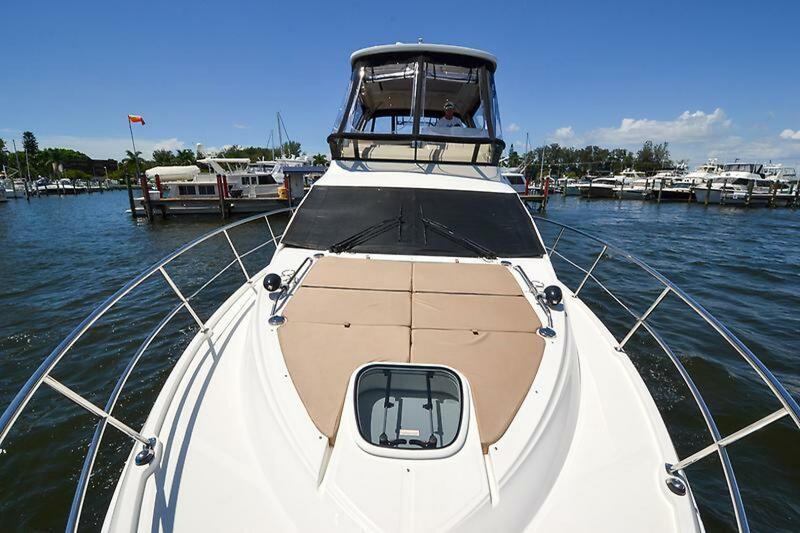 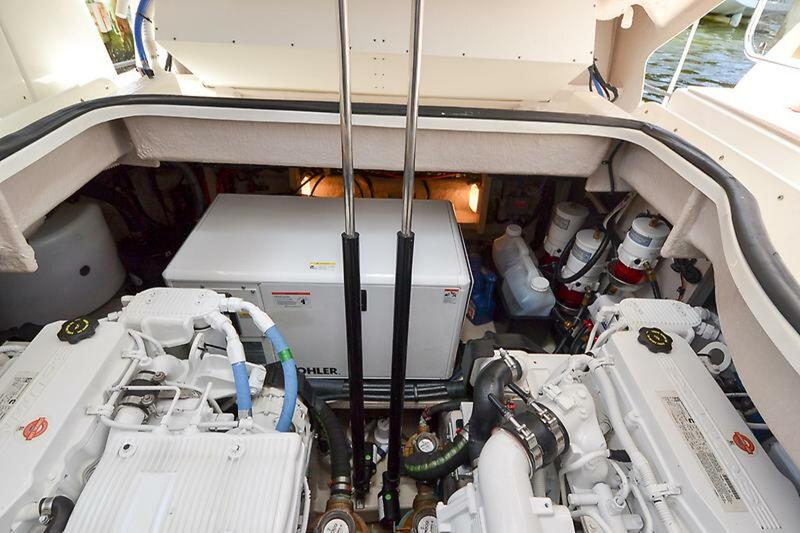 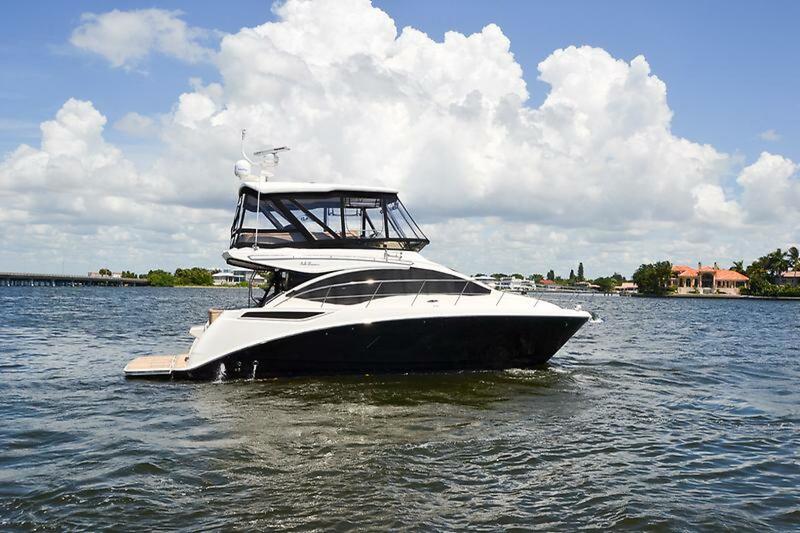 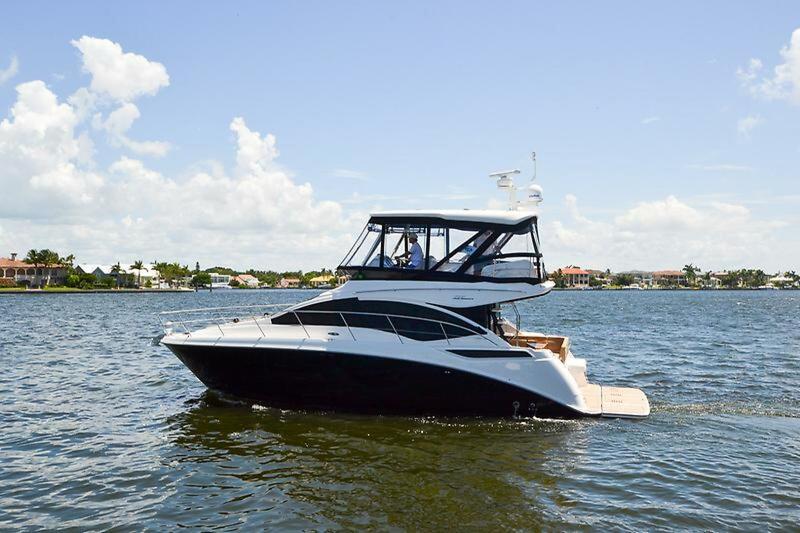 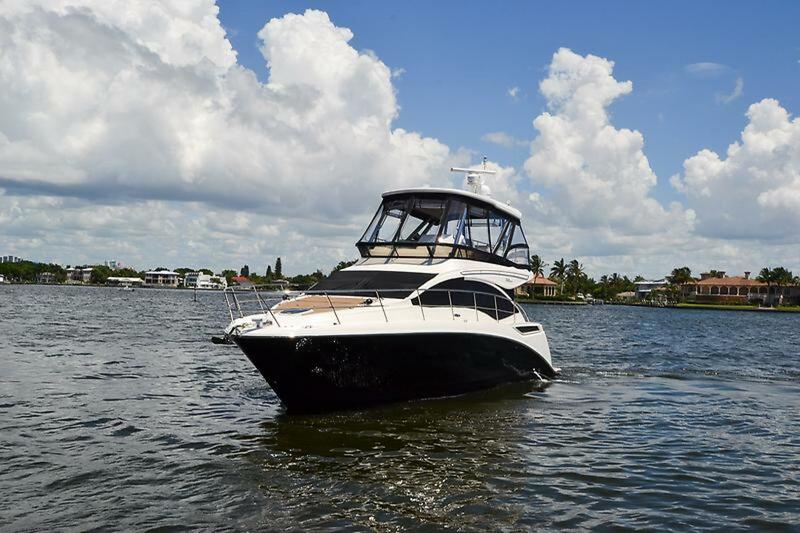 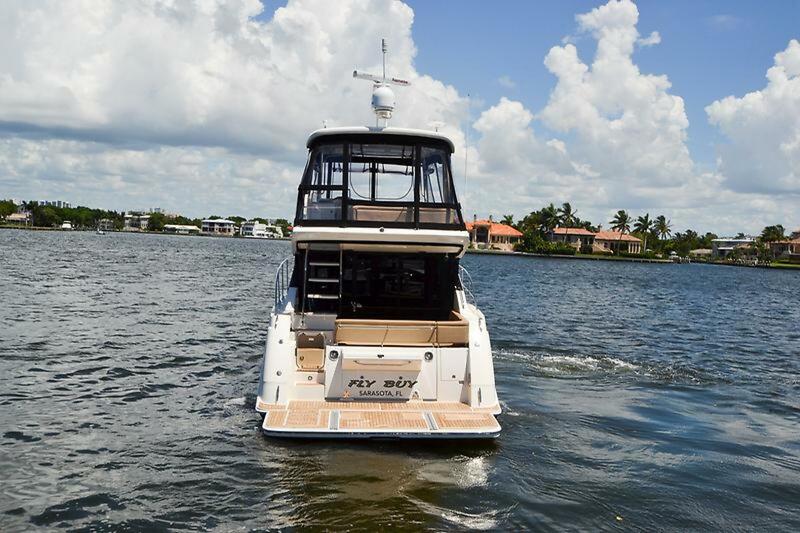 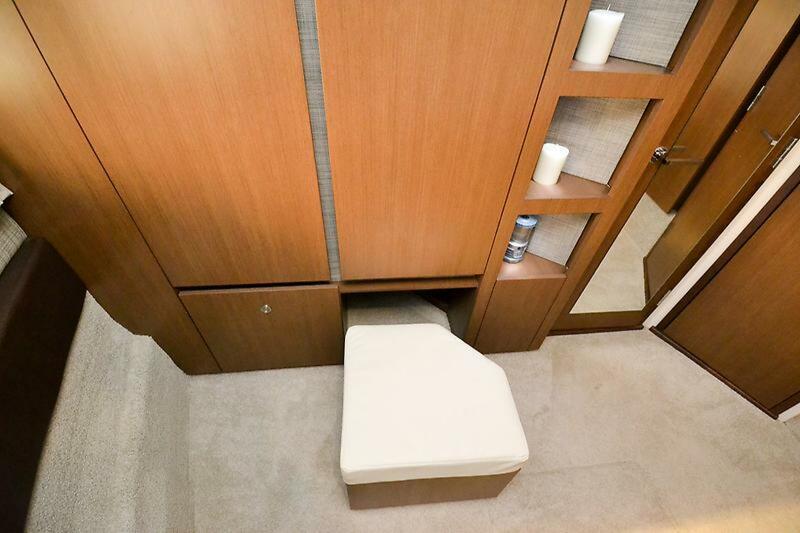 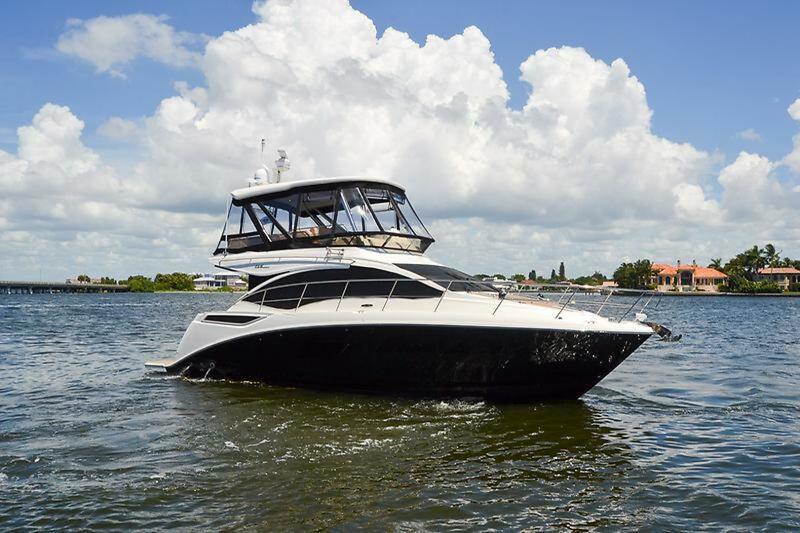 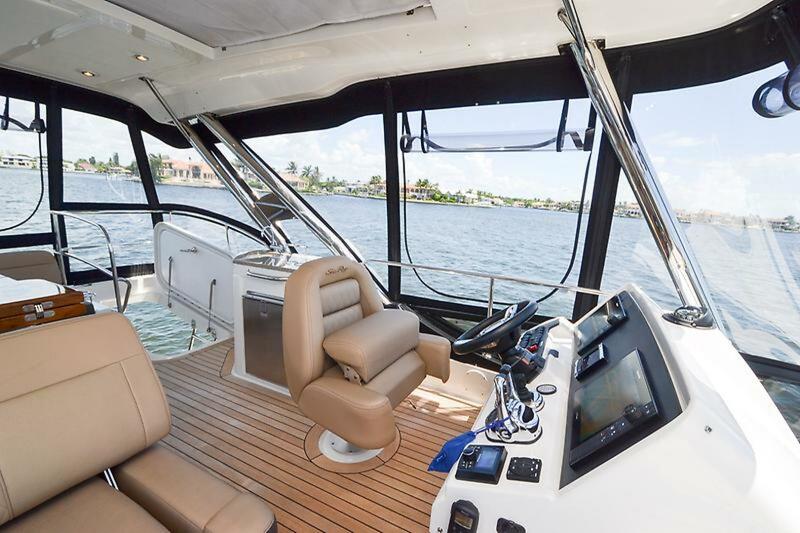 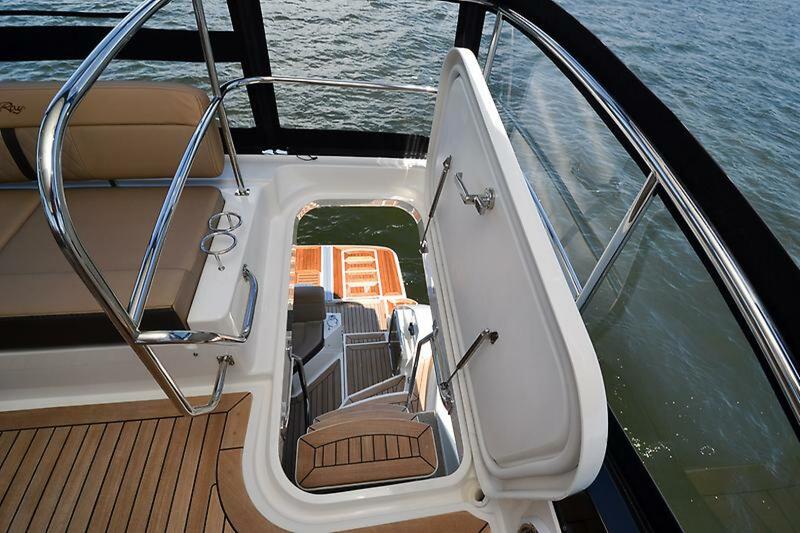 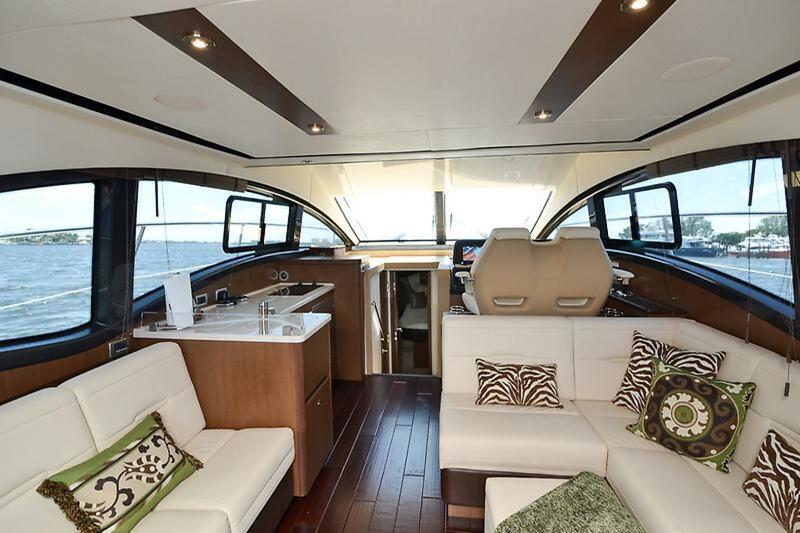 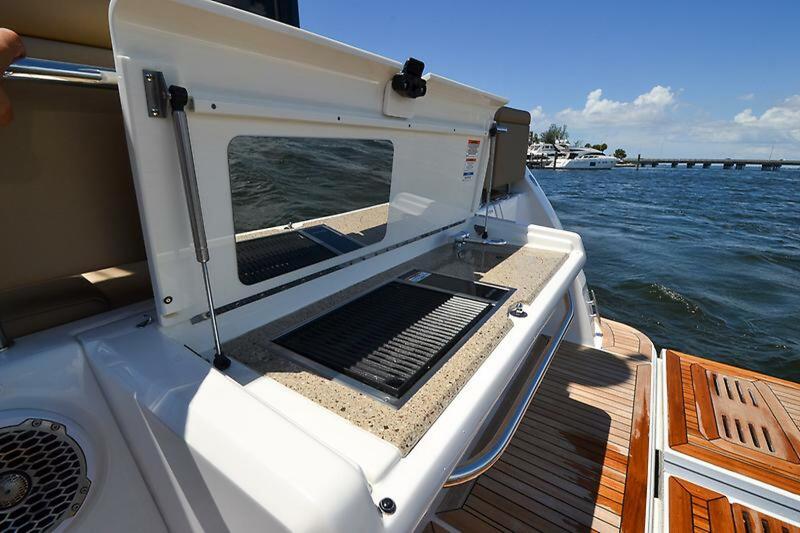 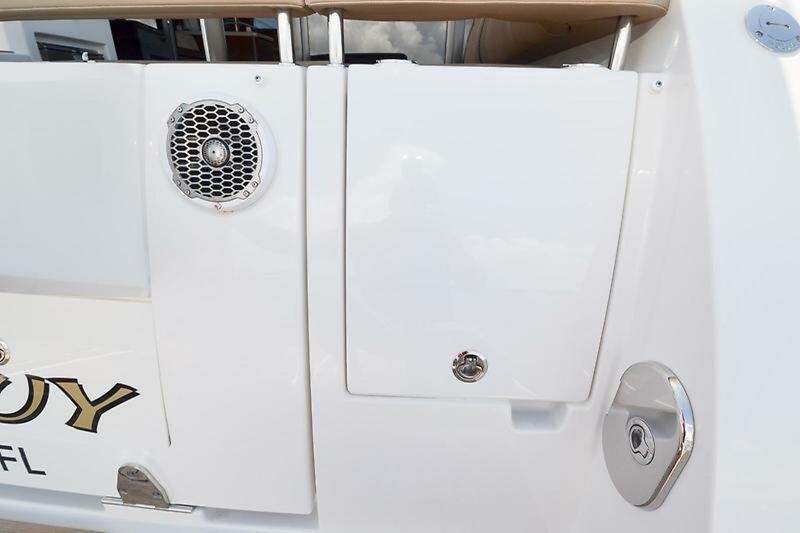 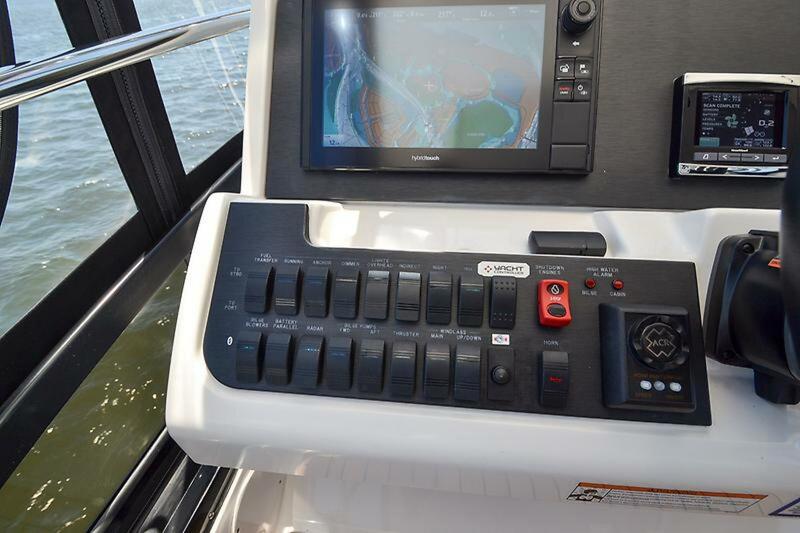 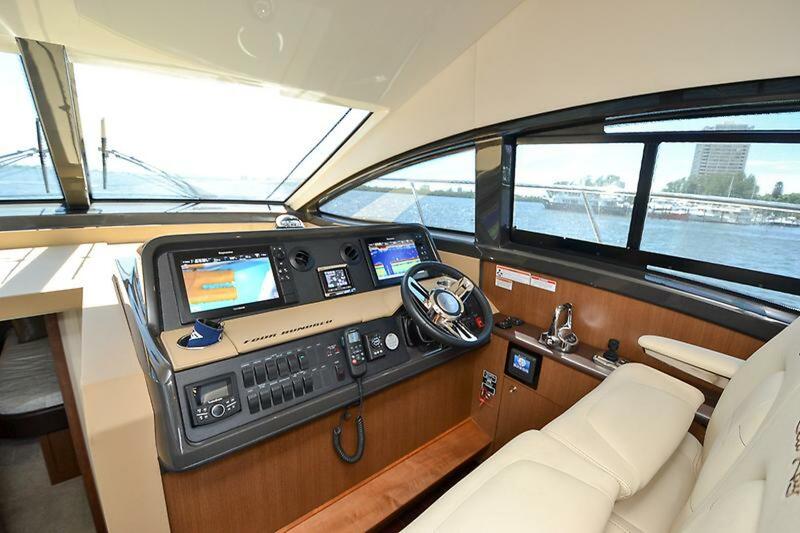 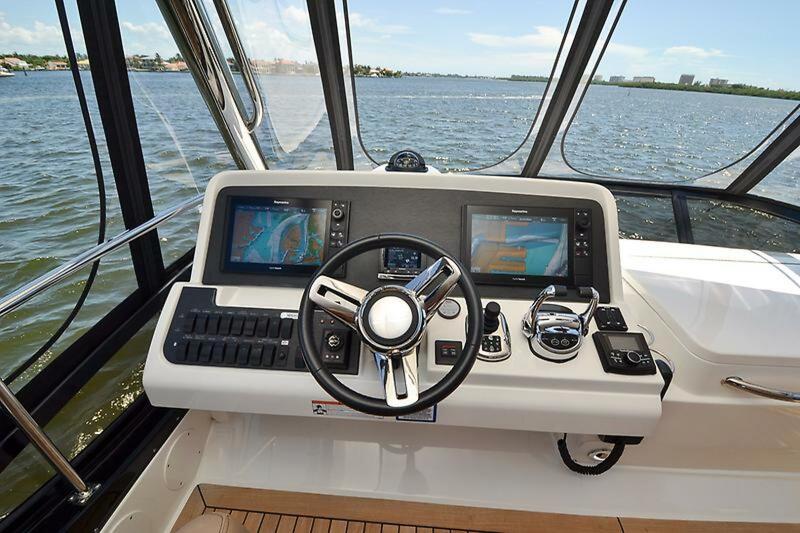 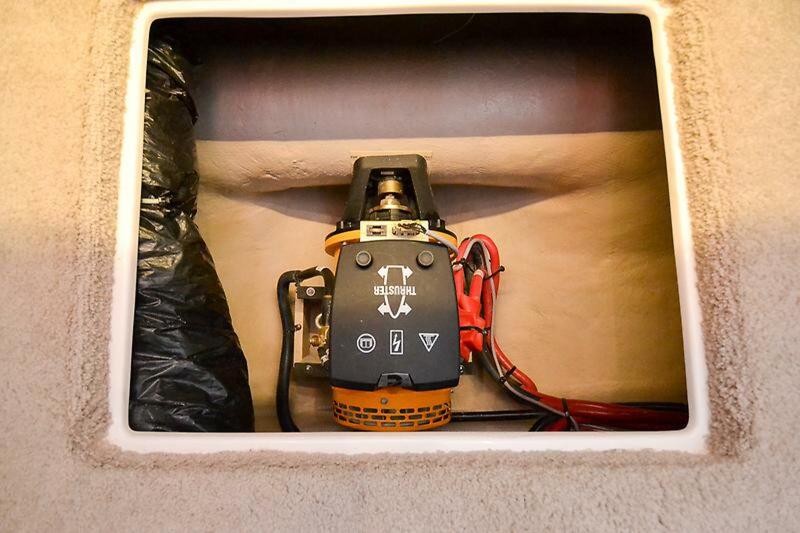 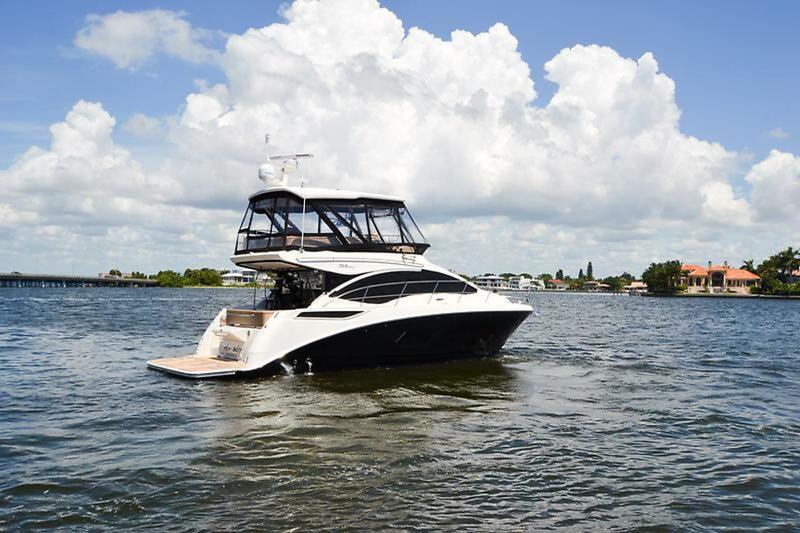 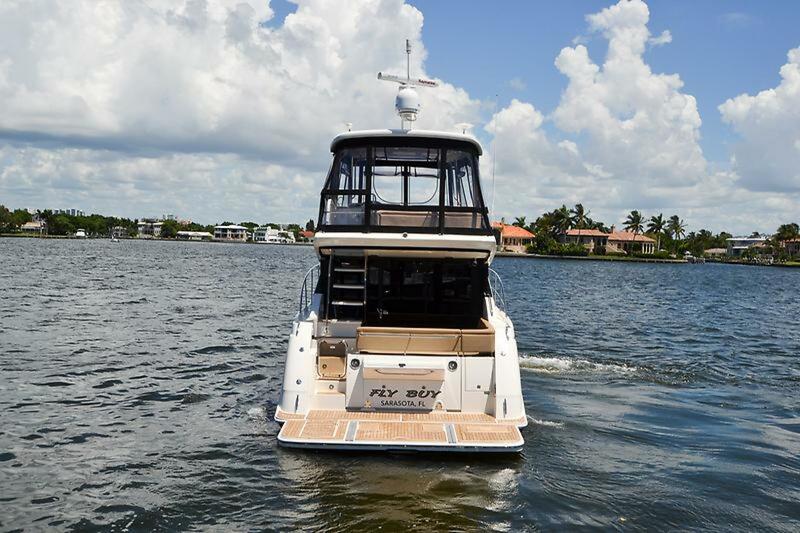 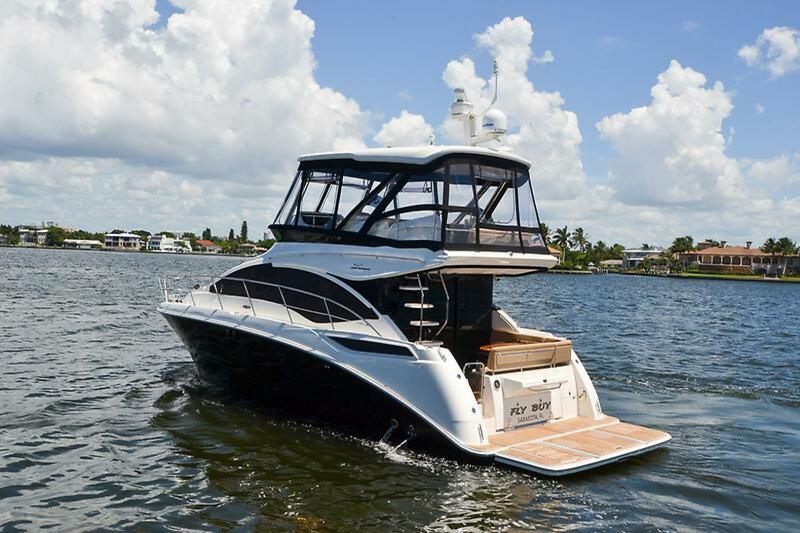 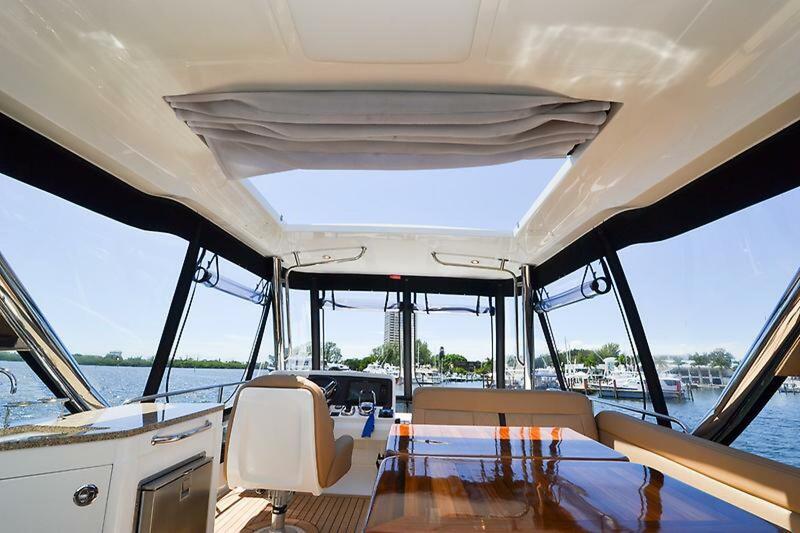 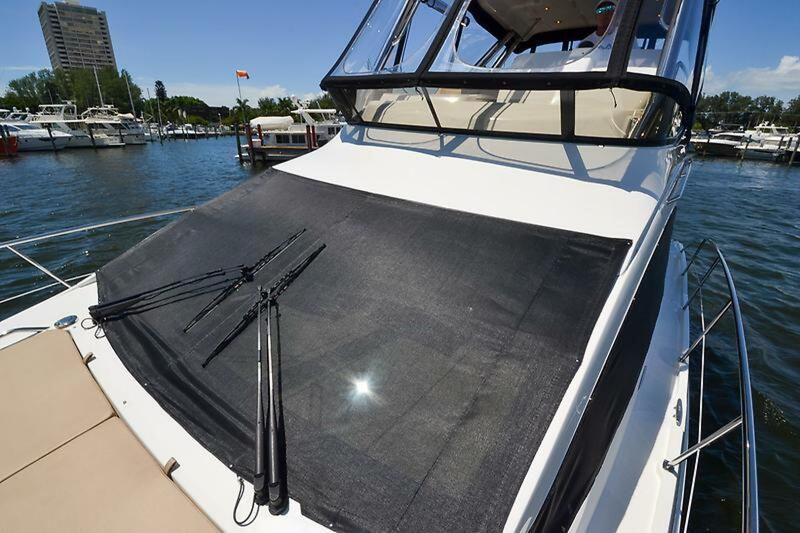 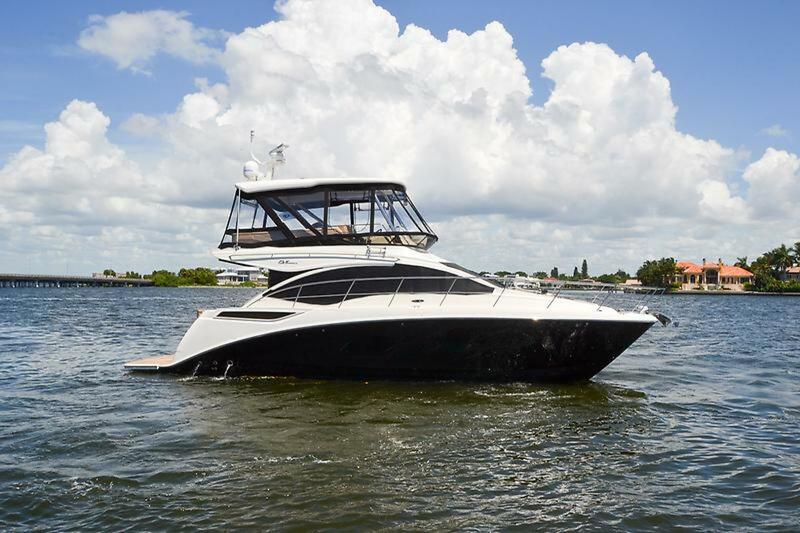 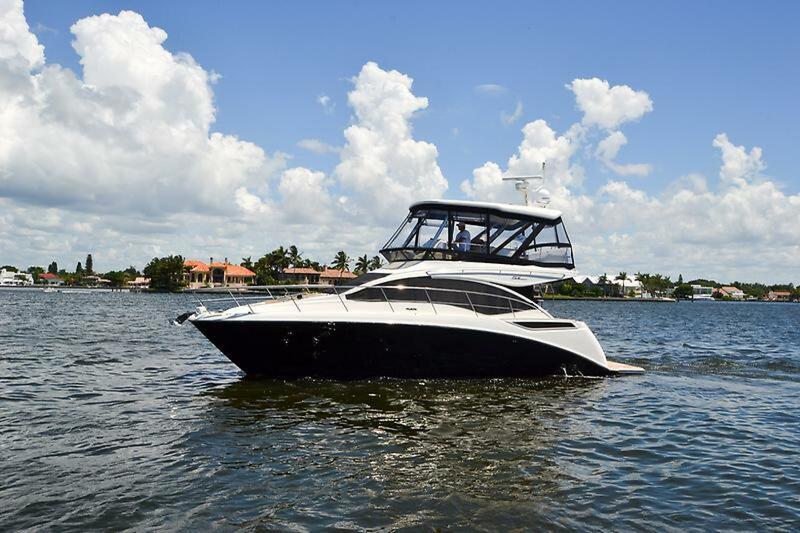 The new 400 Fly from Sea Ray represents a good-sized entertainment platform with an open floor plan that keeps the social areas well connected to one another. 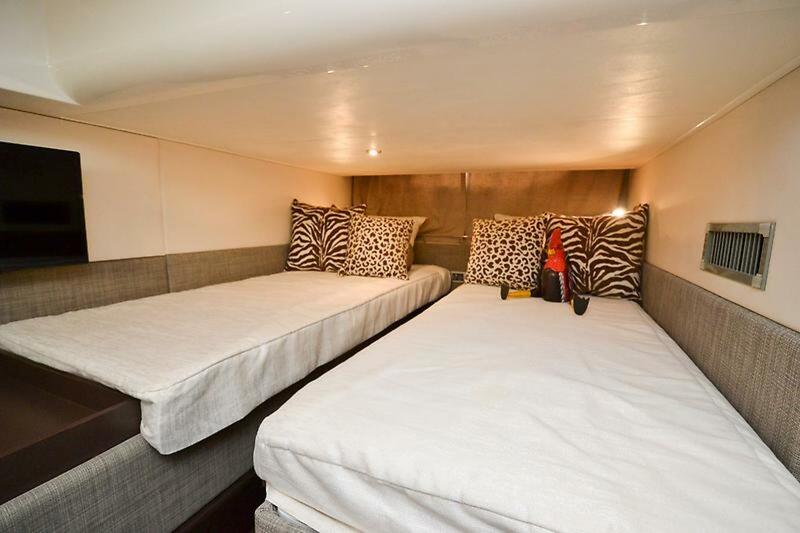 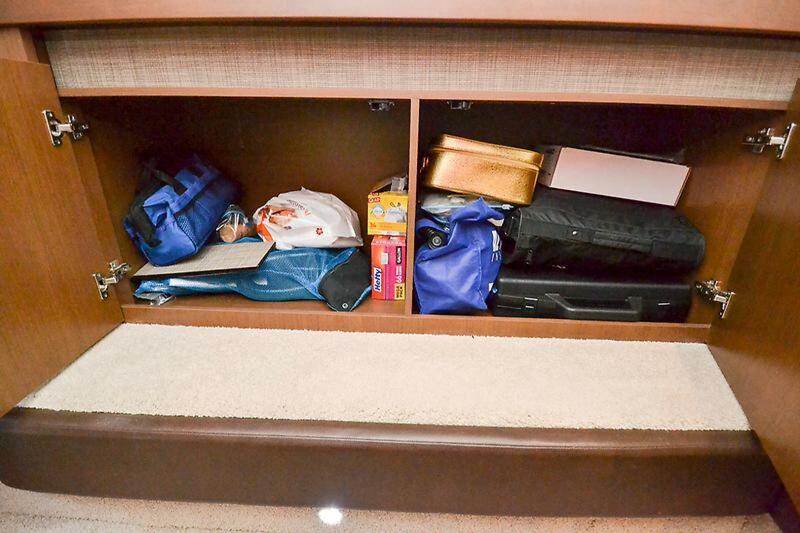 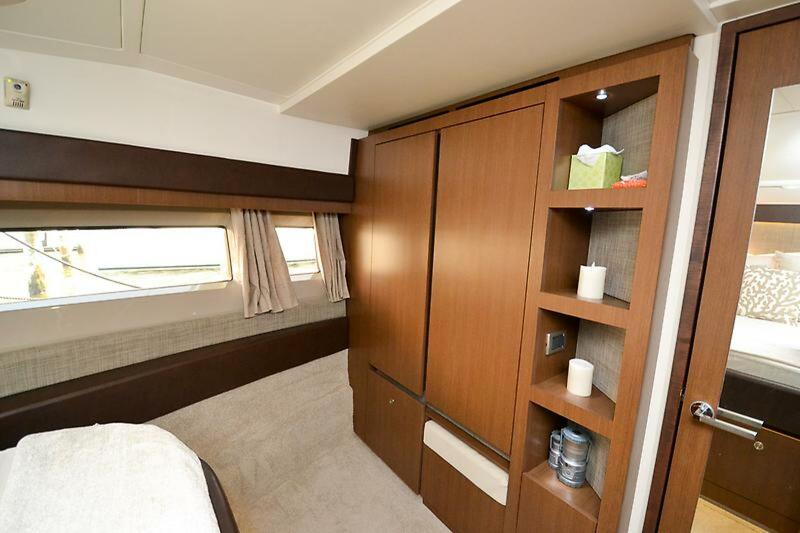 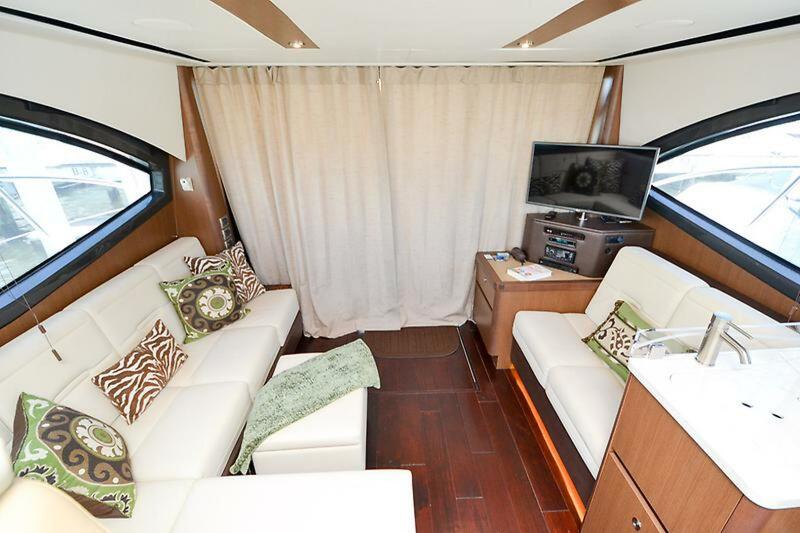 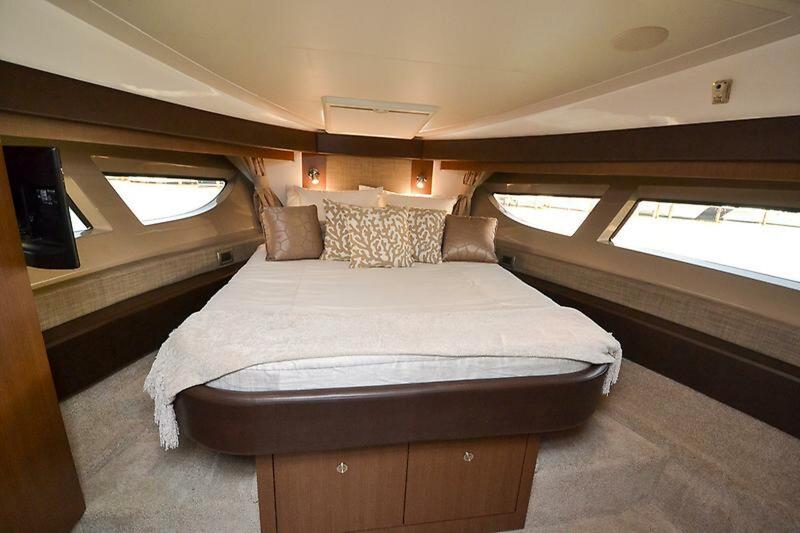 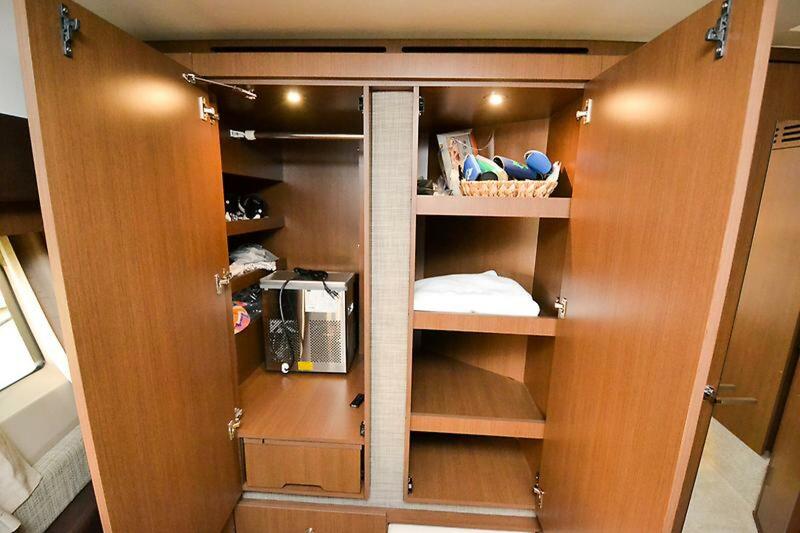 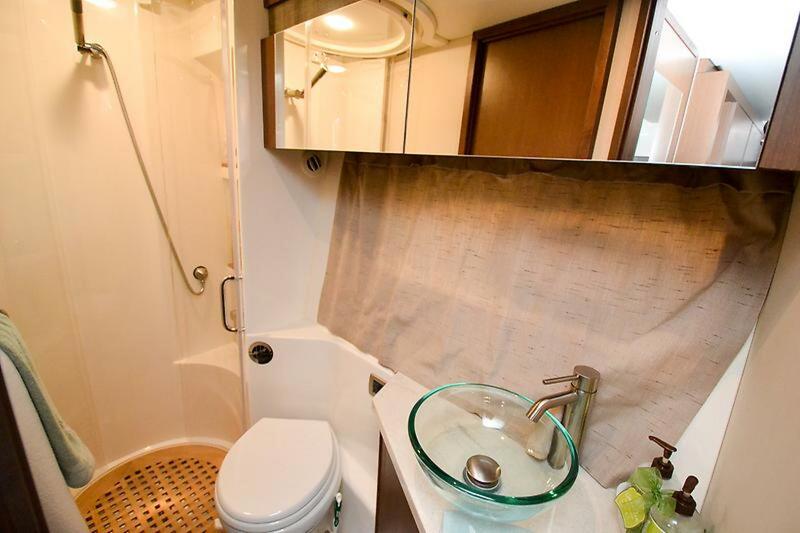 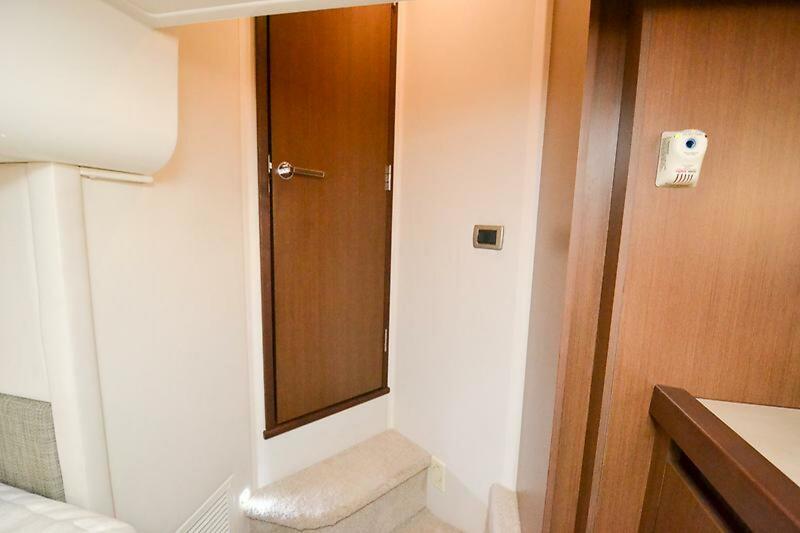 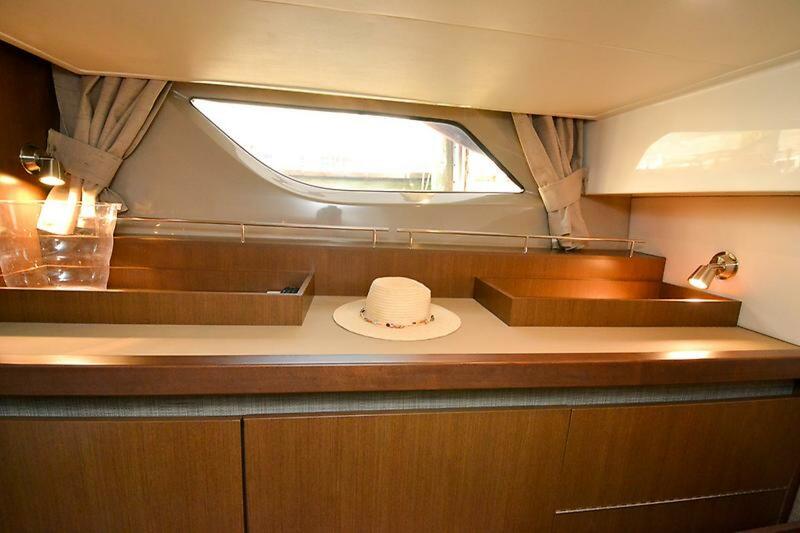 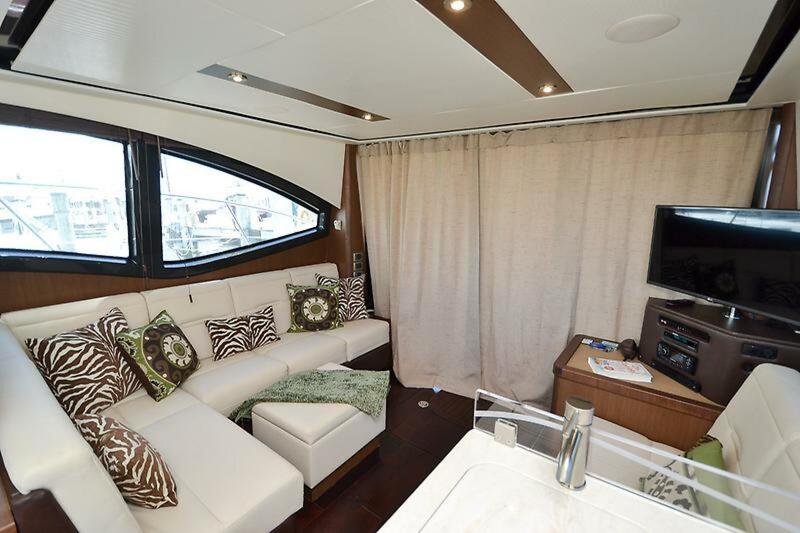 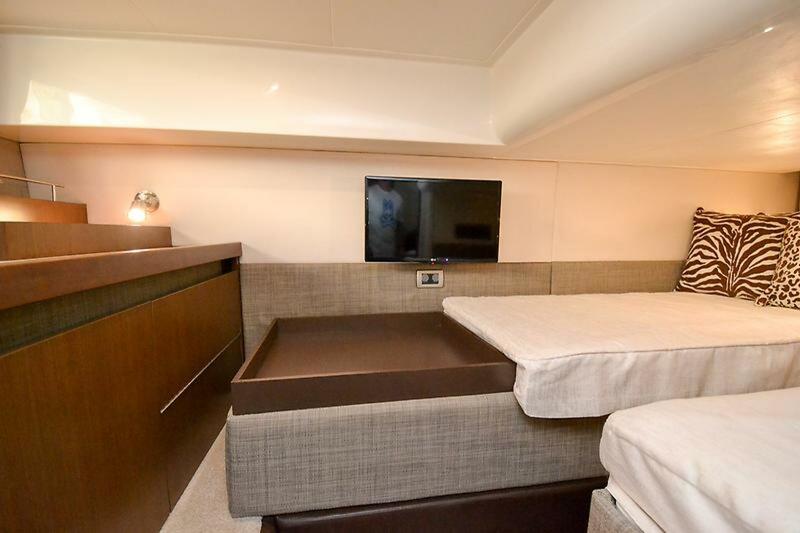 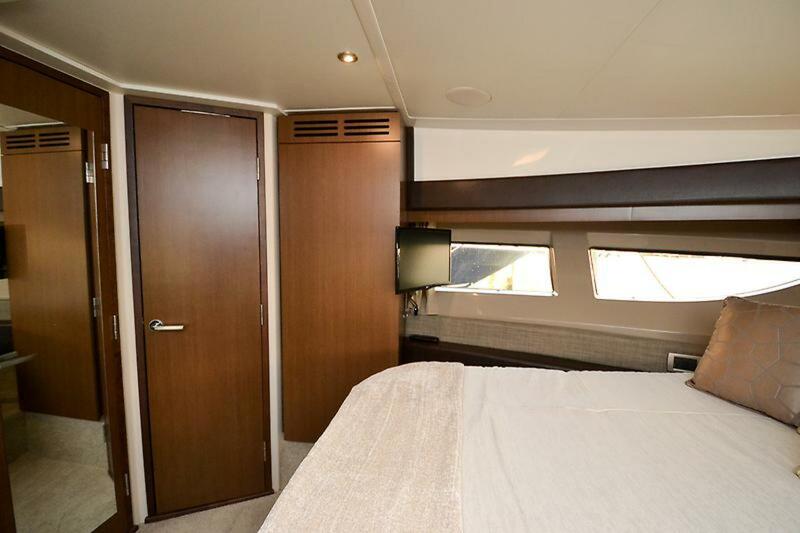 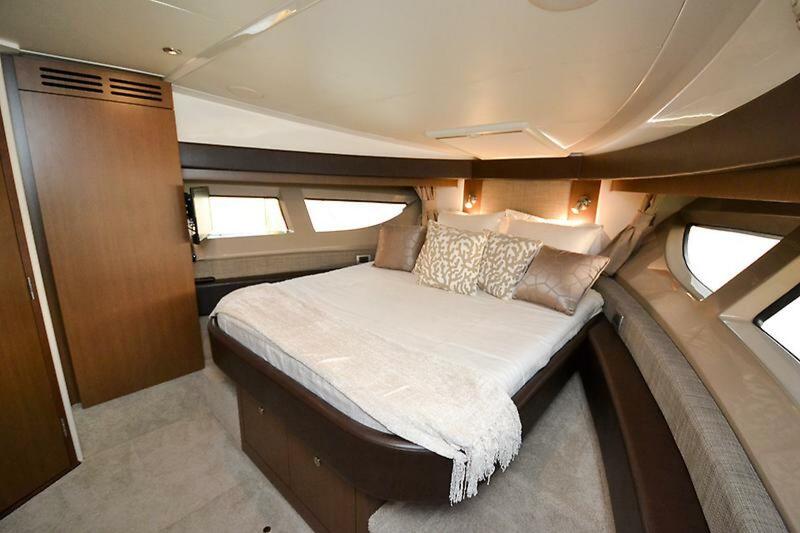 This is accomplished thanks to the single-level main deck with up galley that allows all the social areas to join together as one. 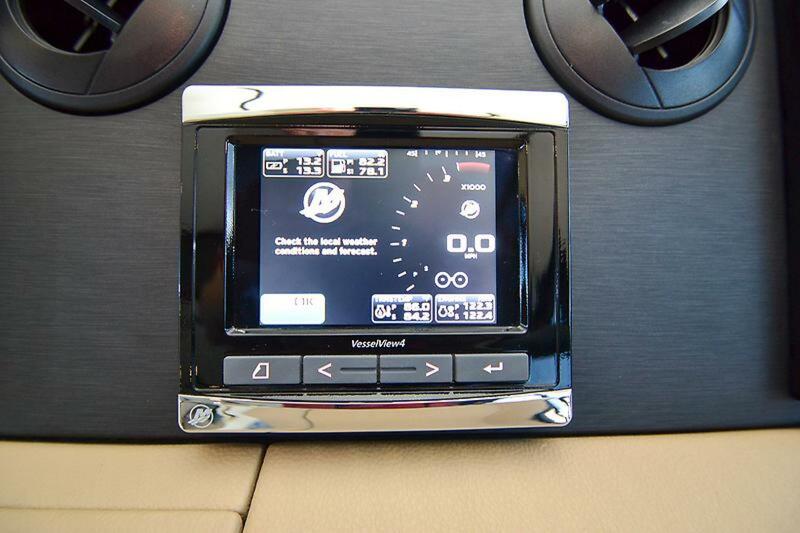 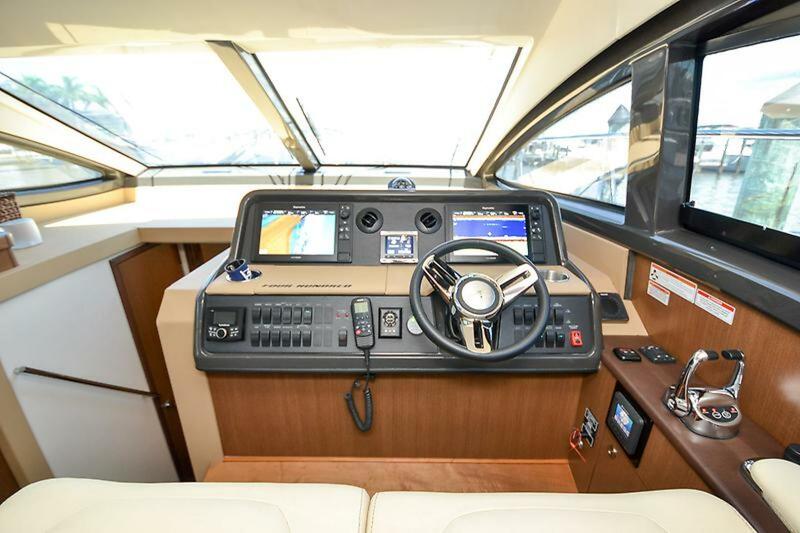 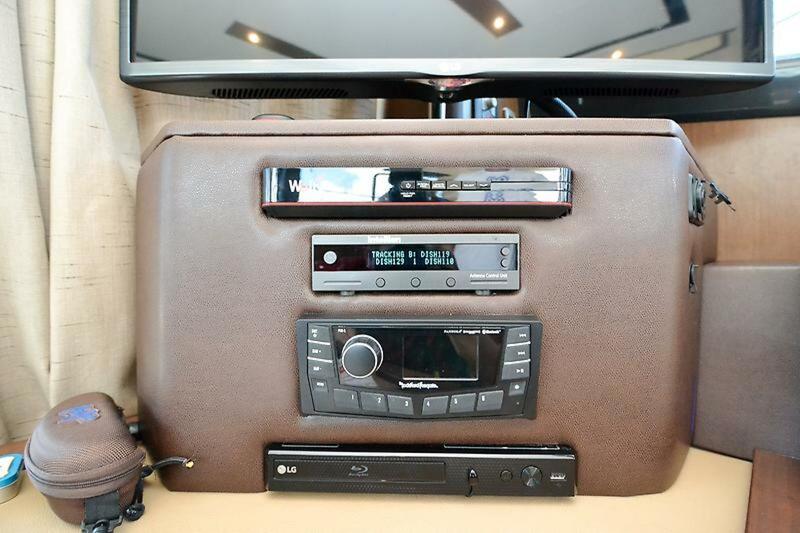 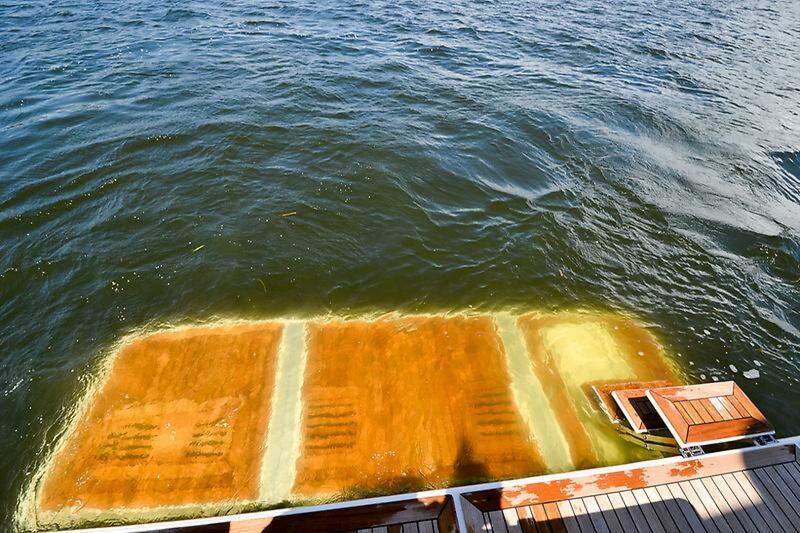 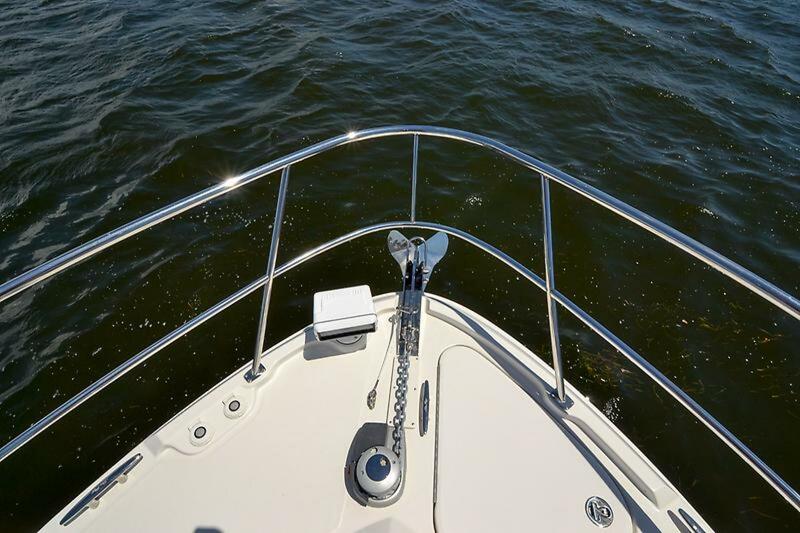 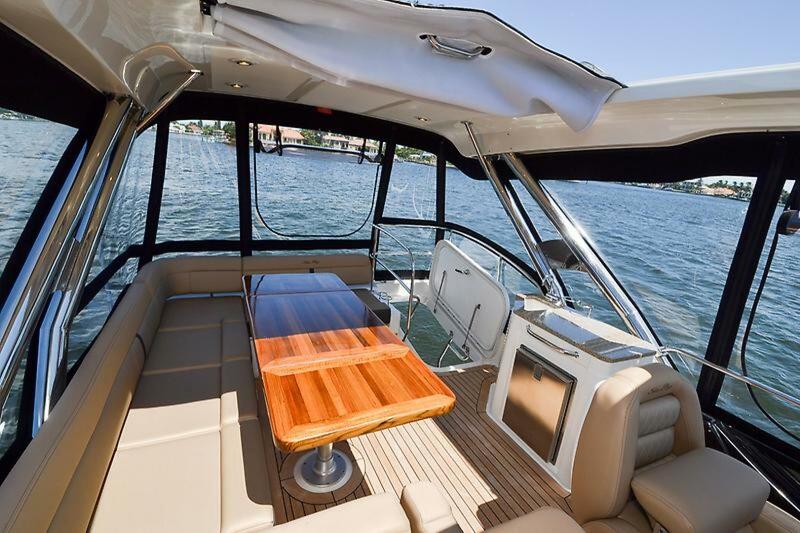 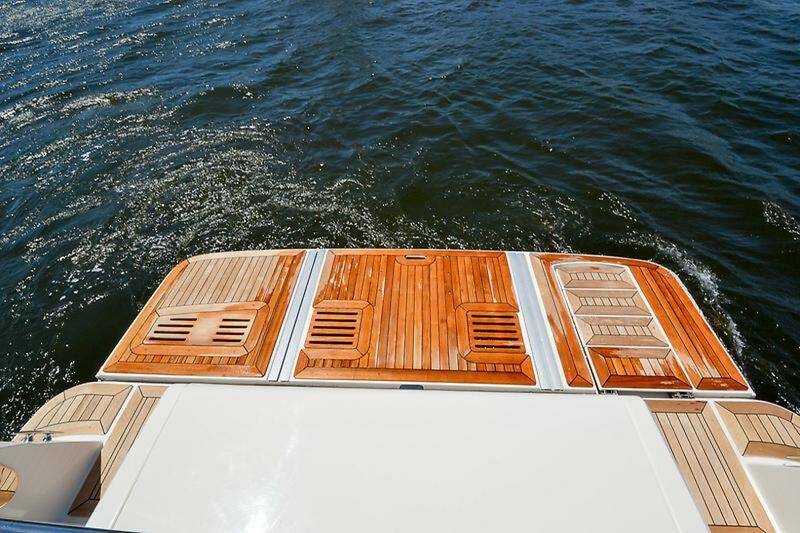 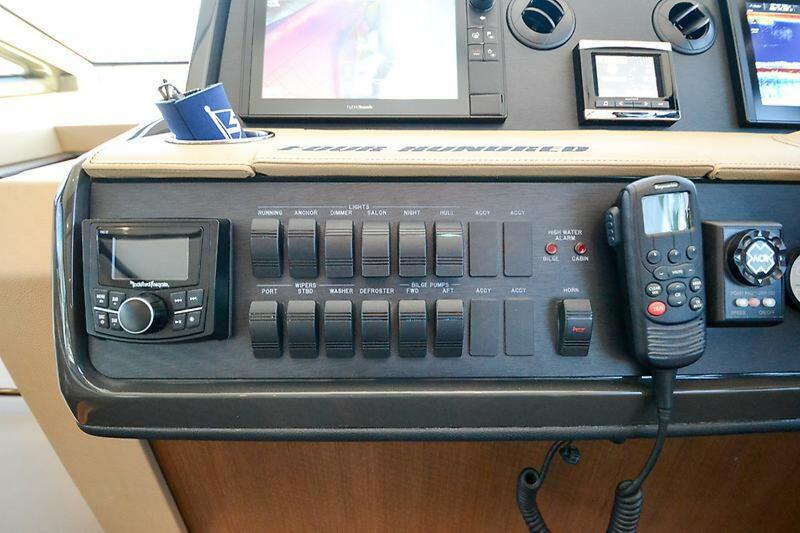 Externally the rich teak decking give you the feel of a much larger yacht. 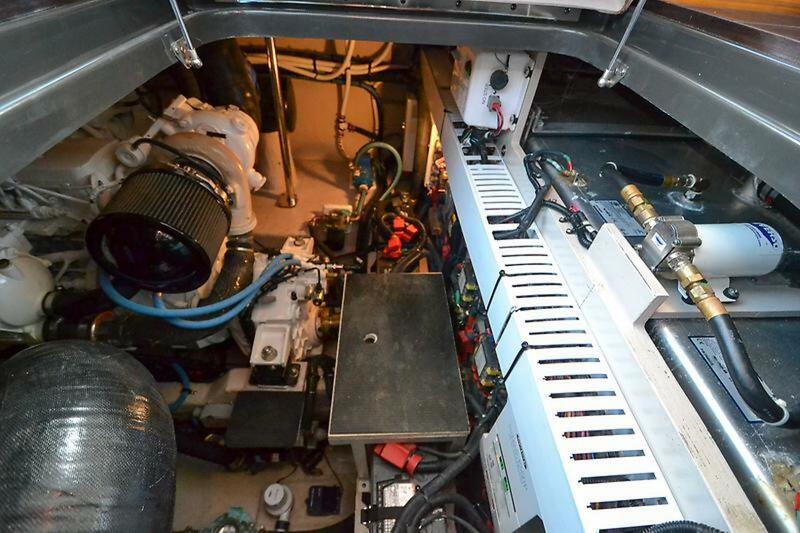 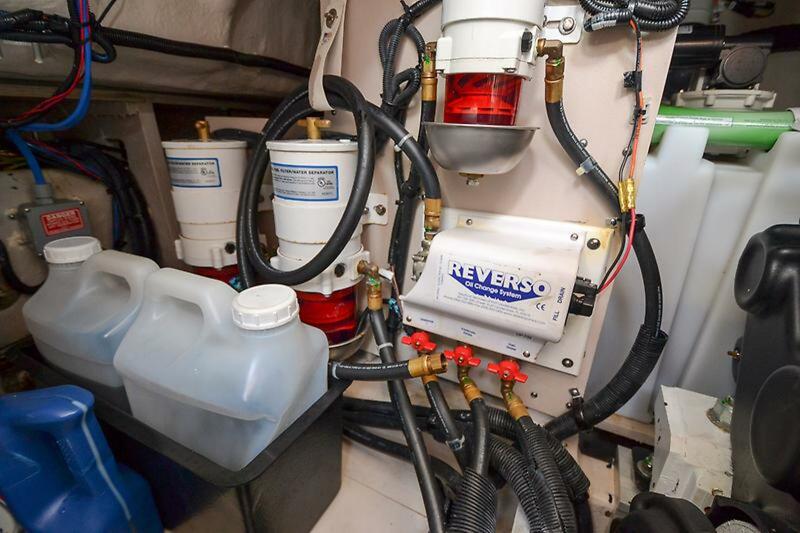 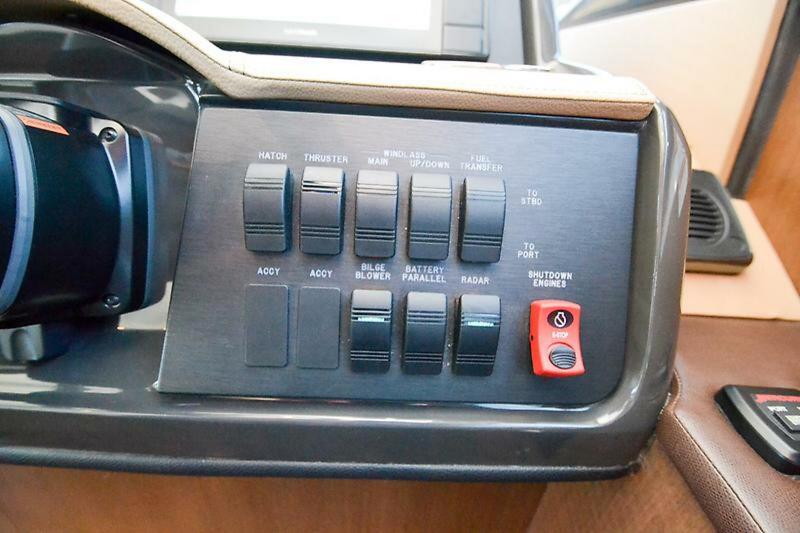 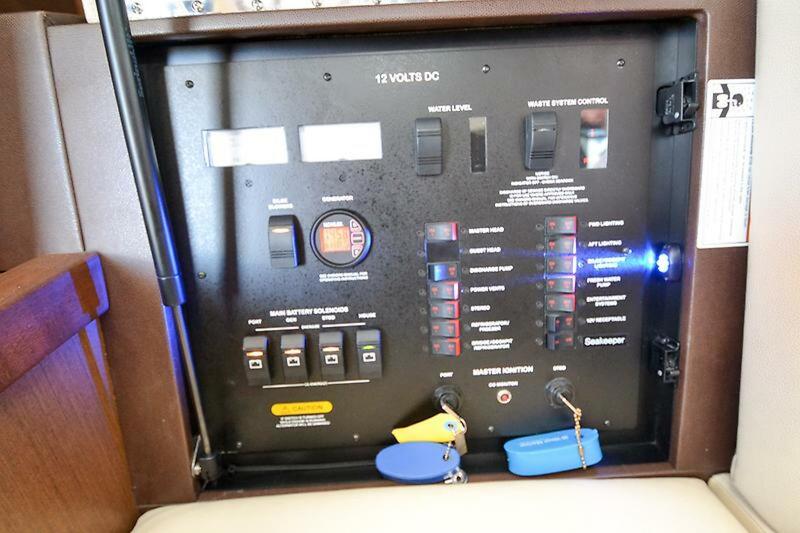 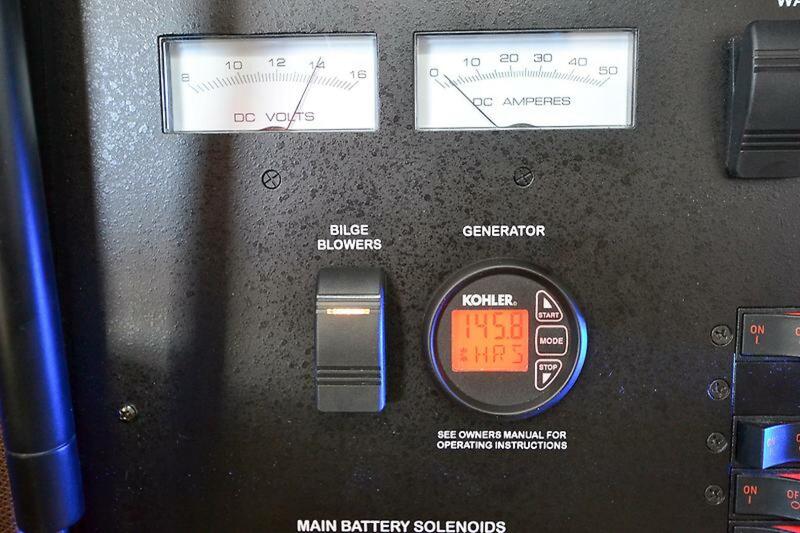 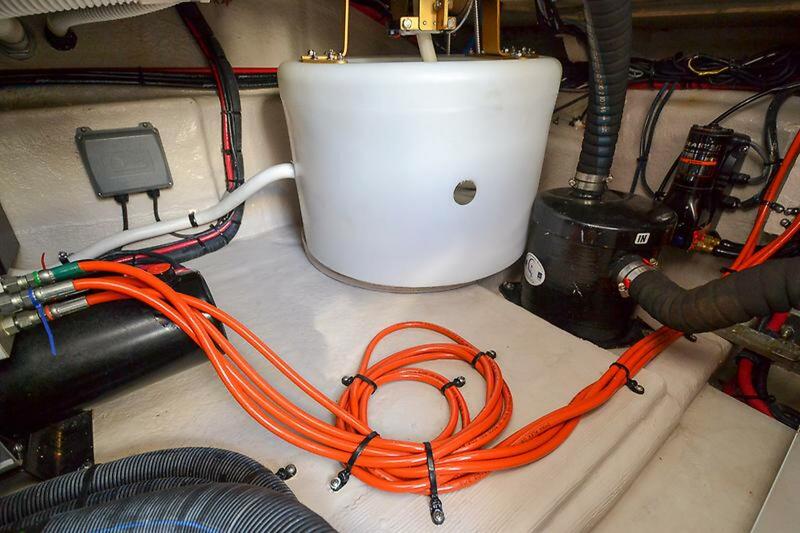 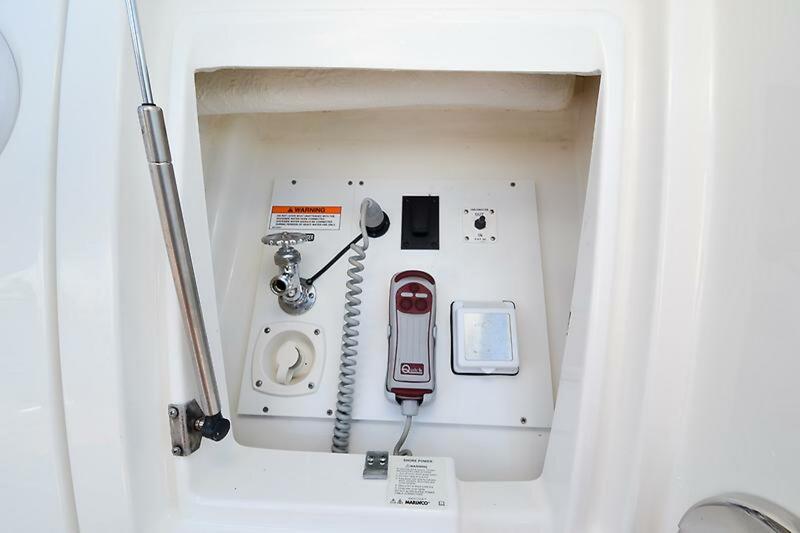 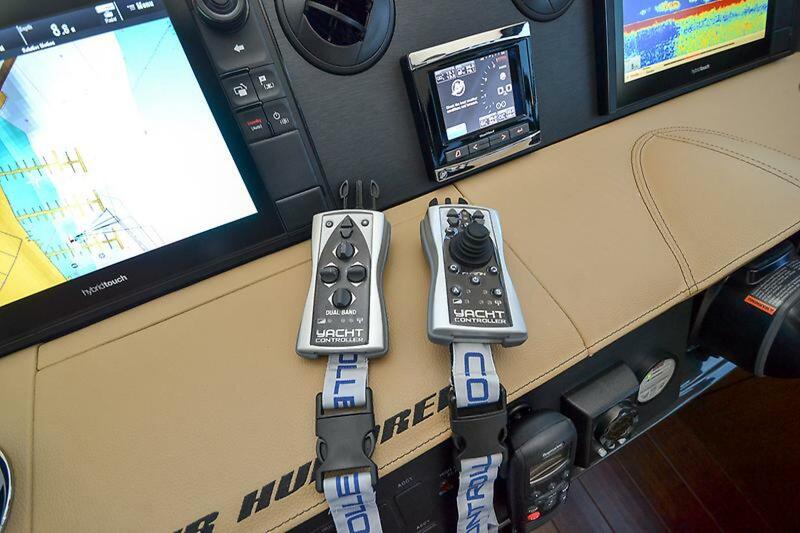 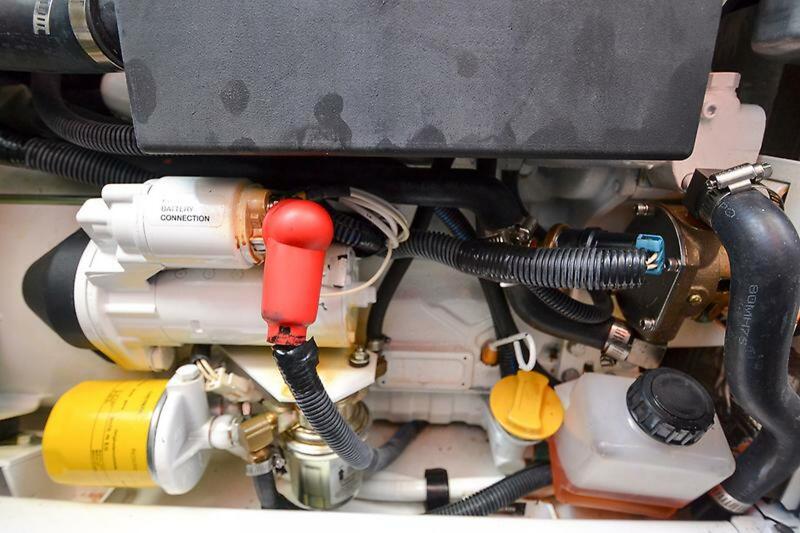 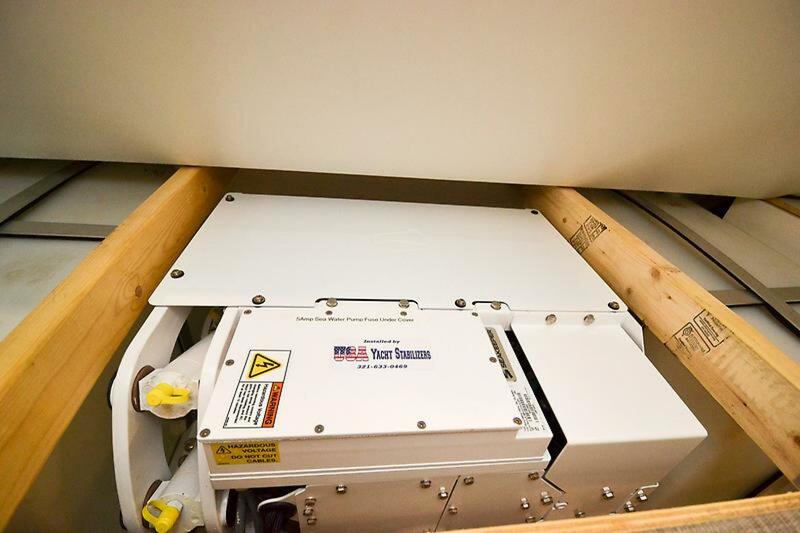 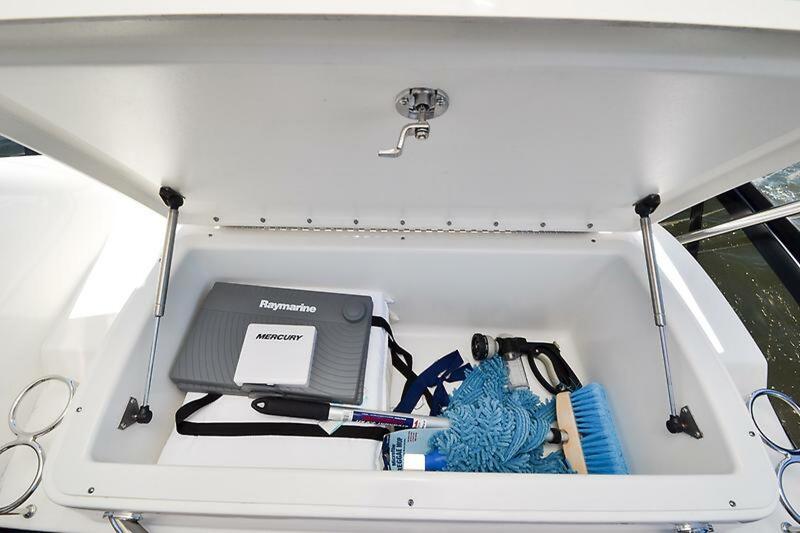 The upgrades list on the vessel are lenghty: Hardtop with enclosure, hydraulic platform, SeaKeeper, YachtControler (1)Joystick (1)Standard, bowthruster, sternthruster, joystick docking and onyx hull. 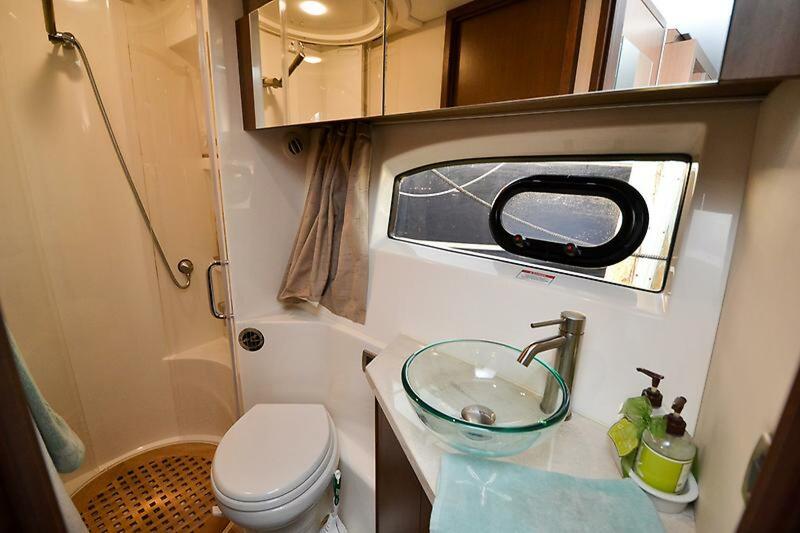 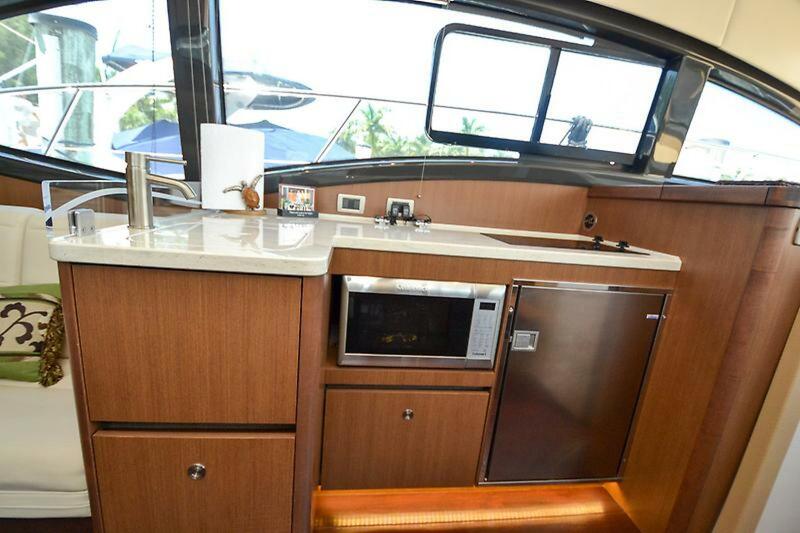 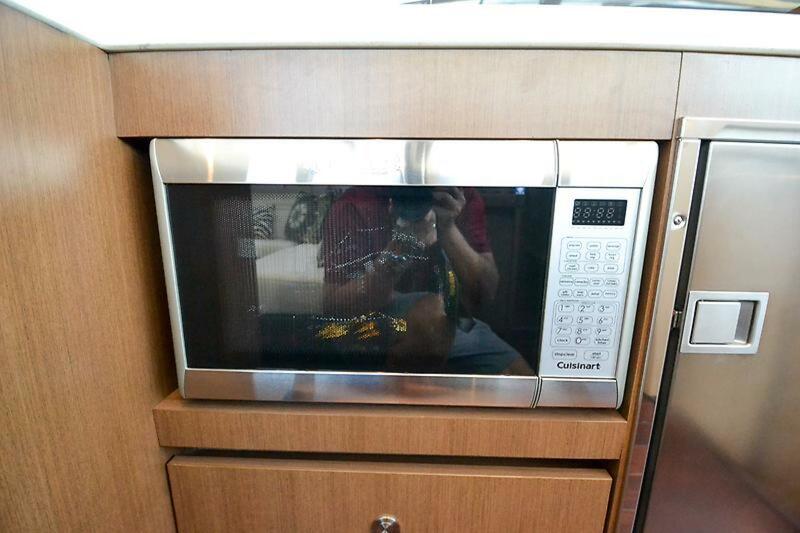 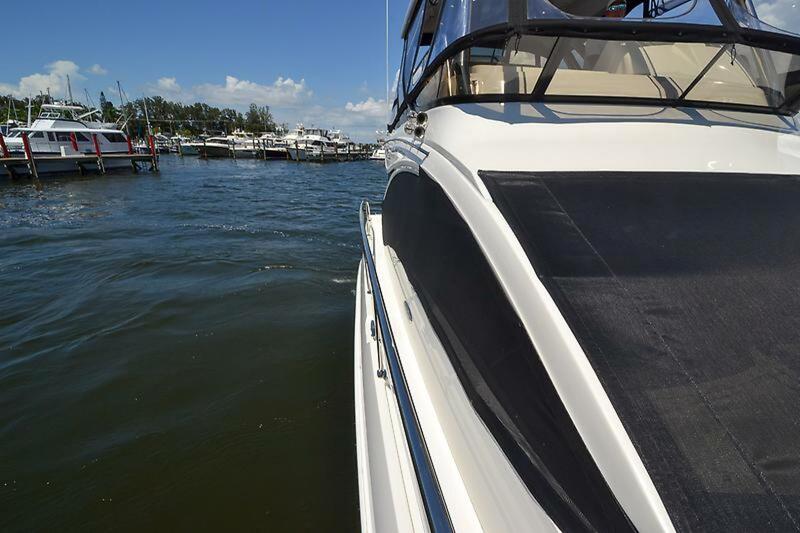 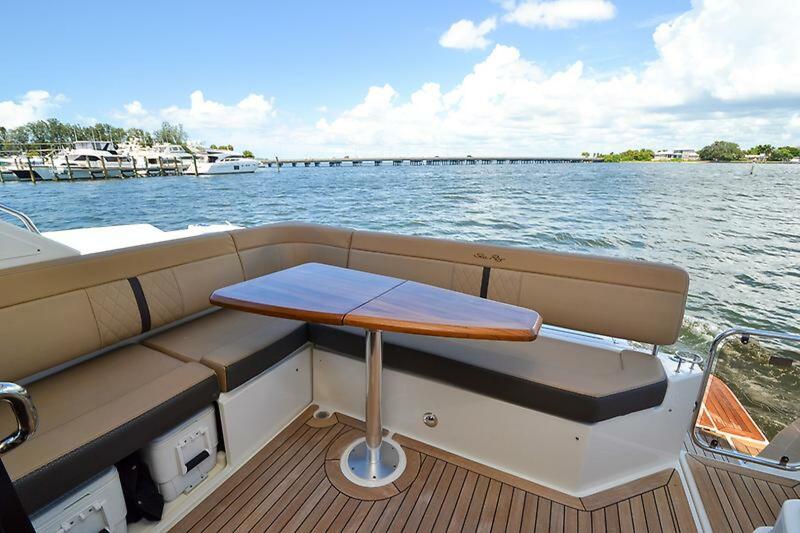 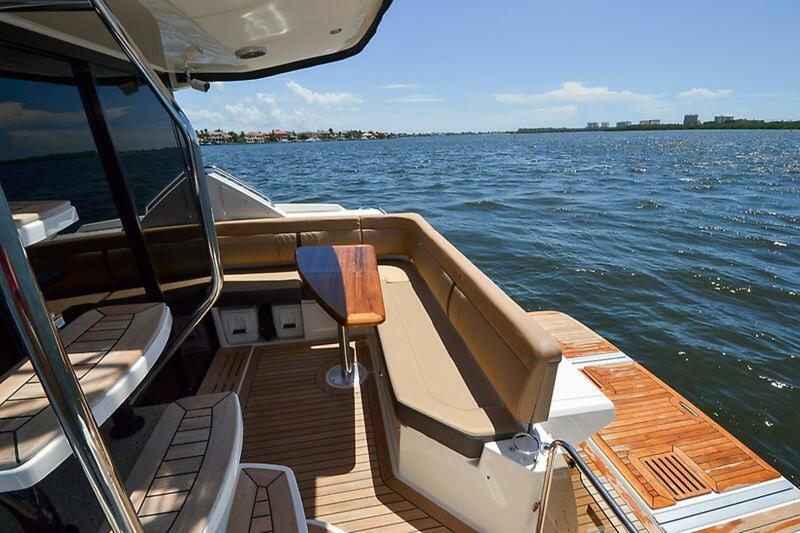 Luxury and quality are a few words that come to mind when viewing Sea Ray's choice of rich materials, from stylish hardwoods and finishes to solid surface countertops. 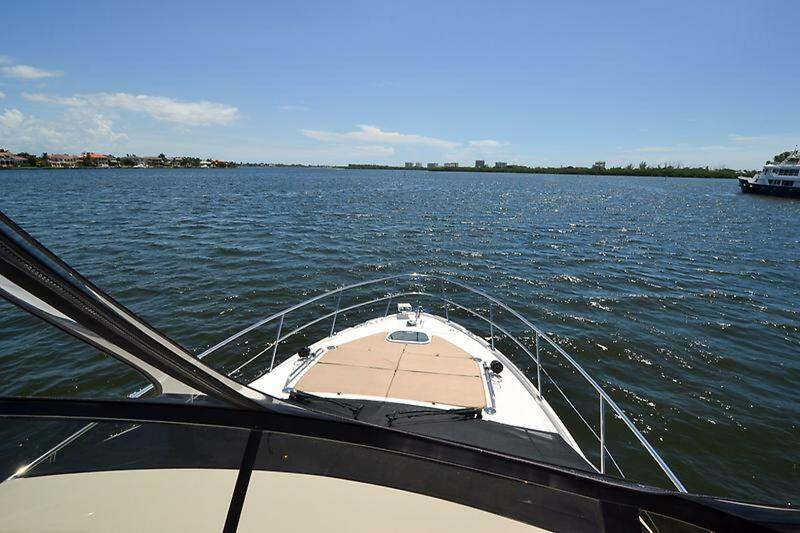 Contact us today for a private showing. 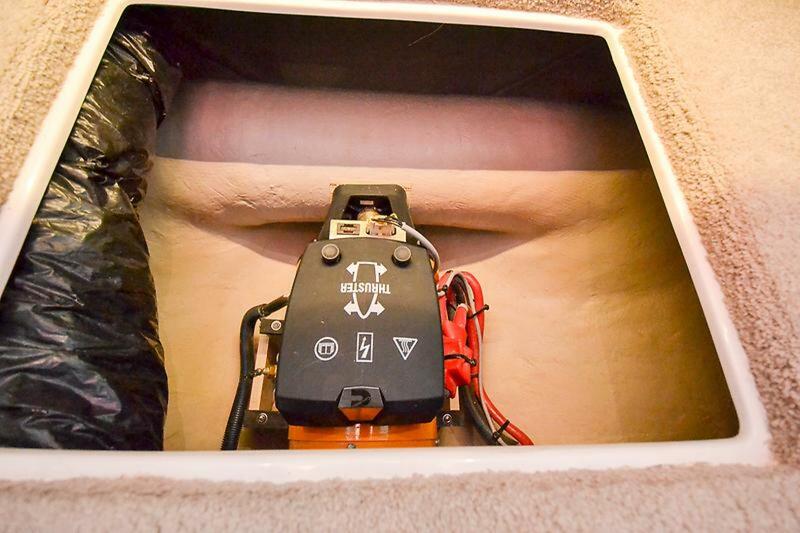 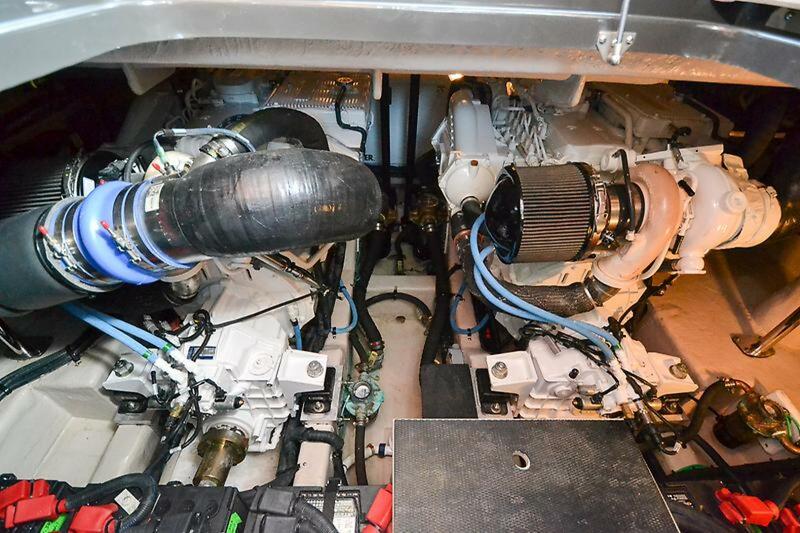 Insulation, Engine Room - 1?